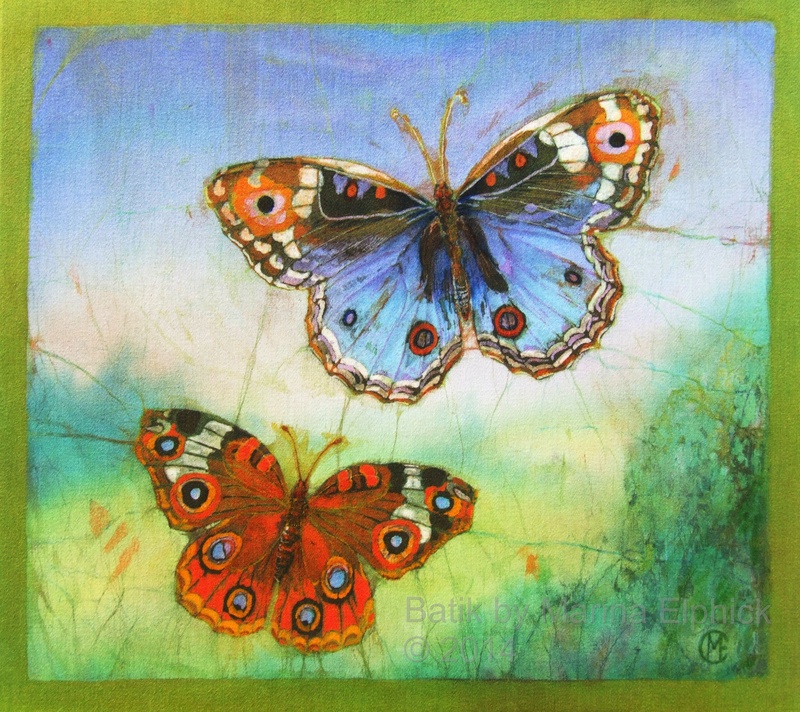 Detail of butterfly from Huaorani girl batik. 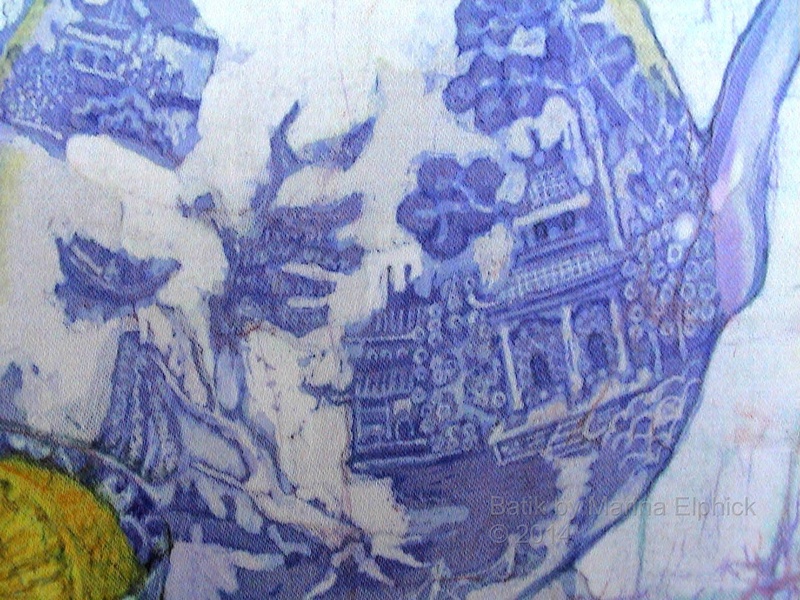 Detail from Huaorani Girl batik. 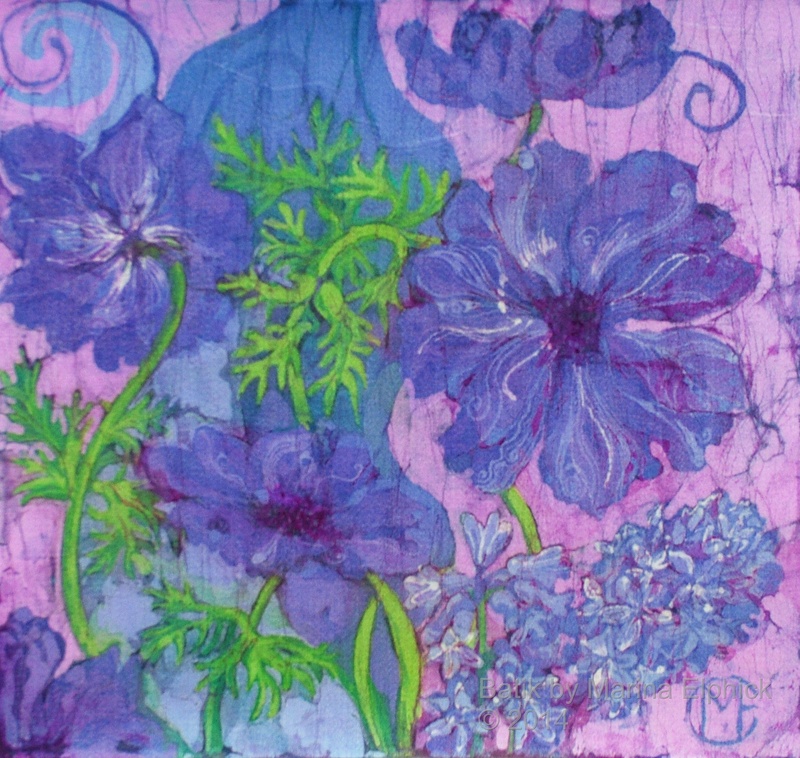 Detail of Hibiscus and butterfly from a batik by Marina Elphick. 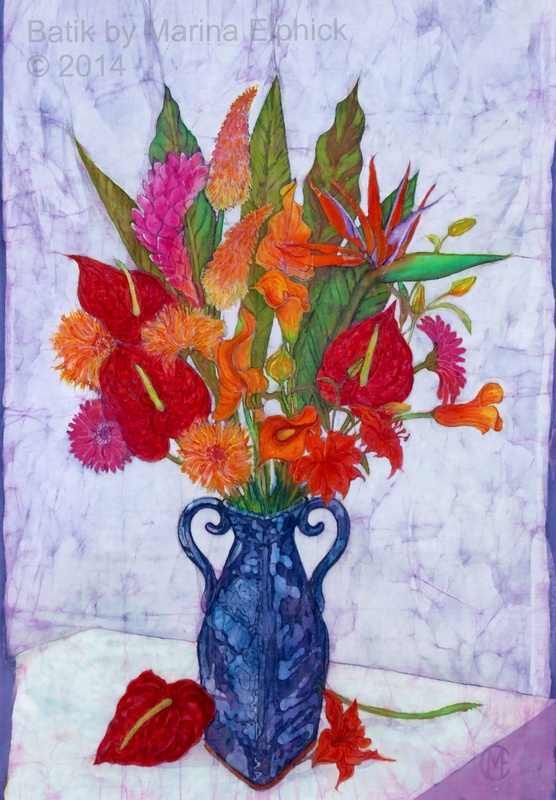 Hummingbird and Passiflora batik by Marina Elphick. 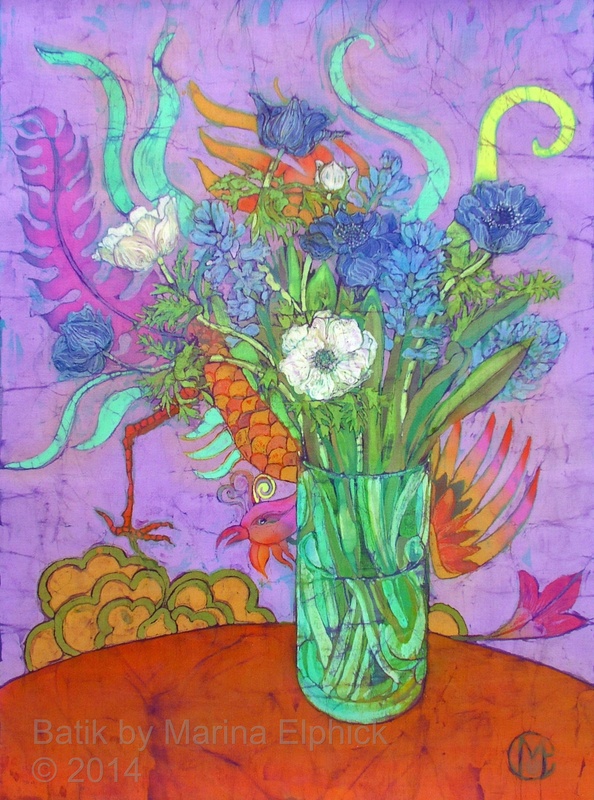 Long tailed Sylph with Hibiscus and butterfly. 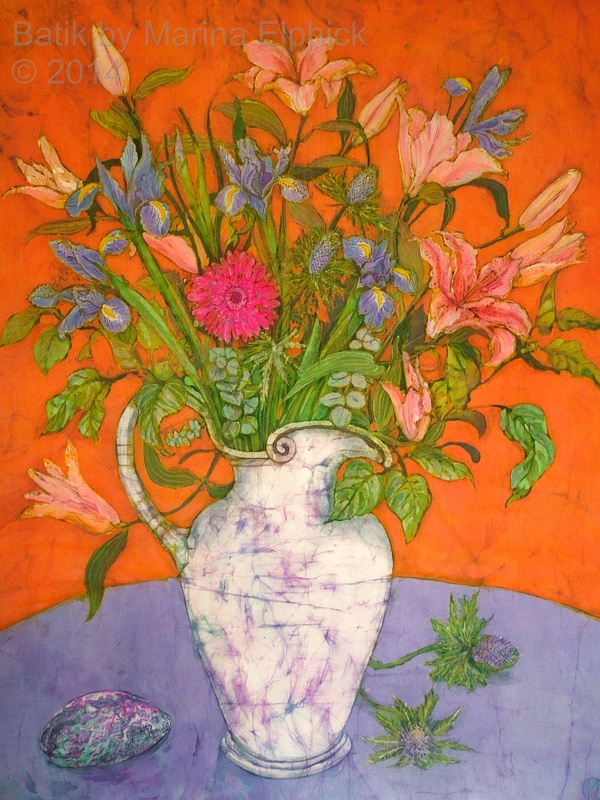 Red tail humming bird in soft pastel by Marina. 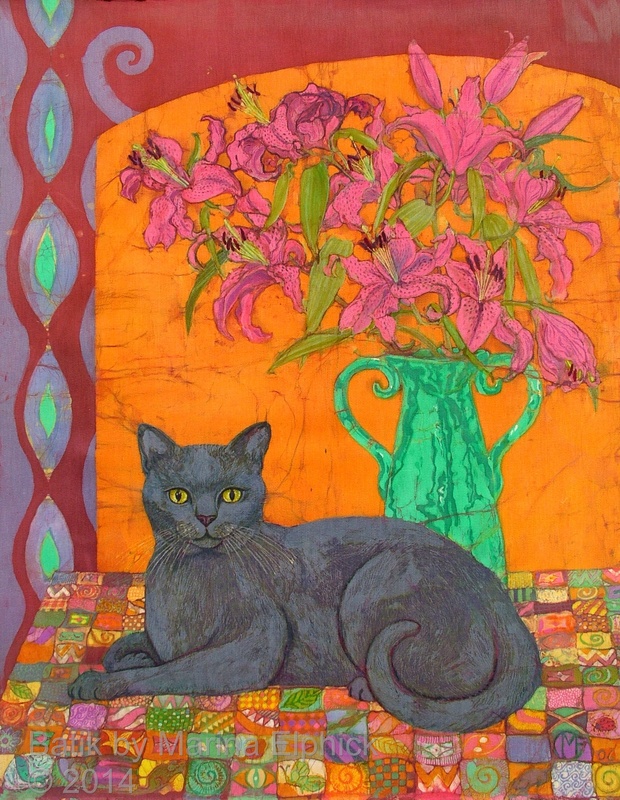 Pastel of Swallowtail with Passiflora. 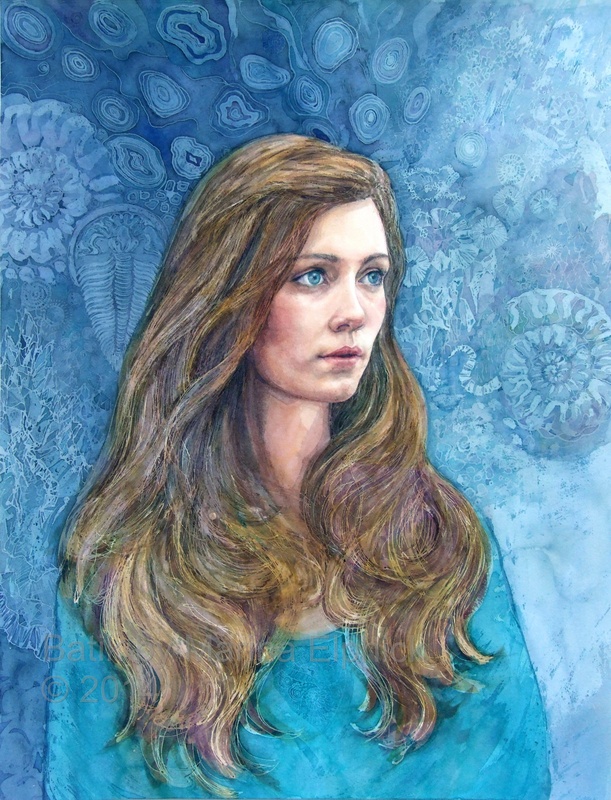 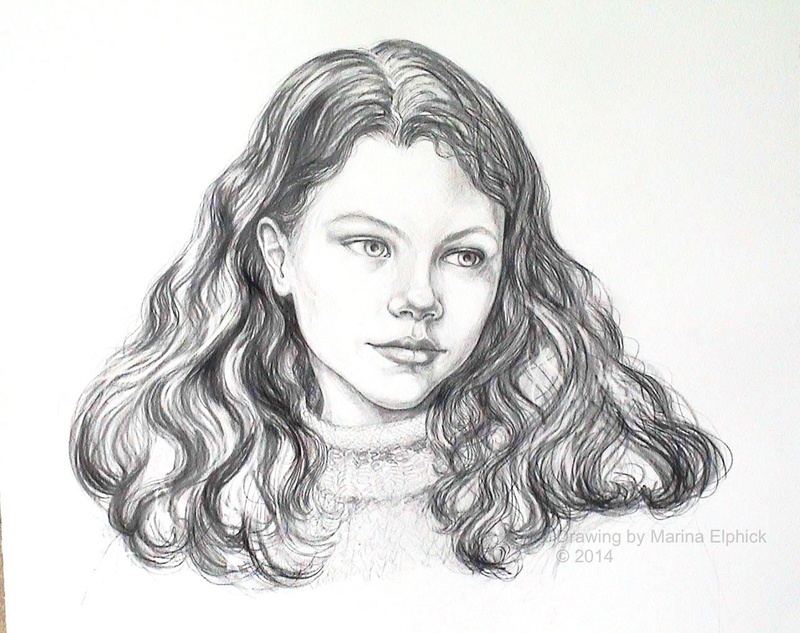 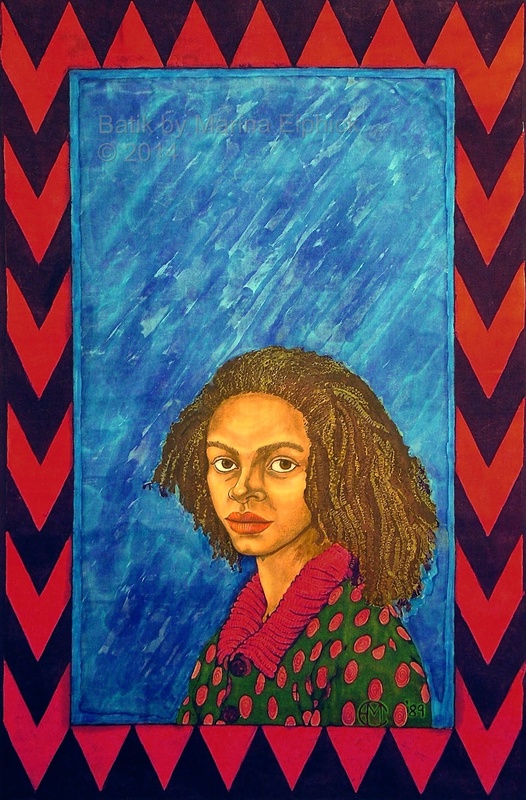 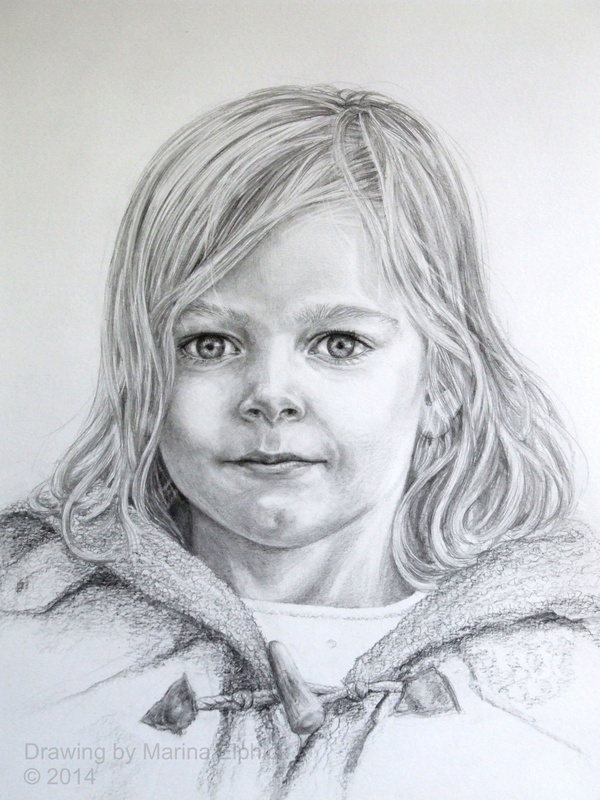 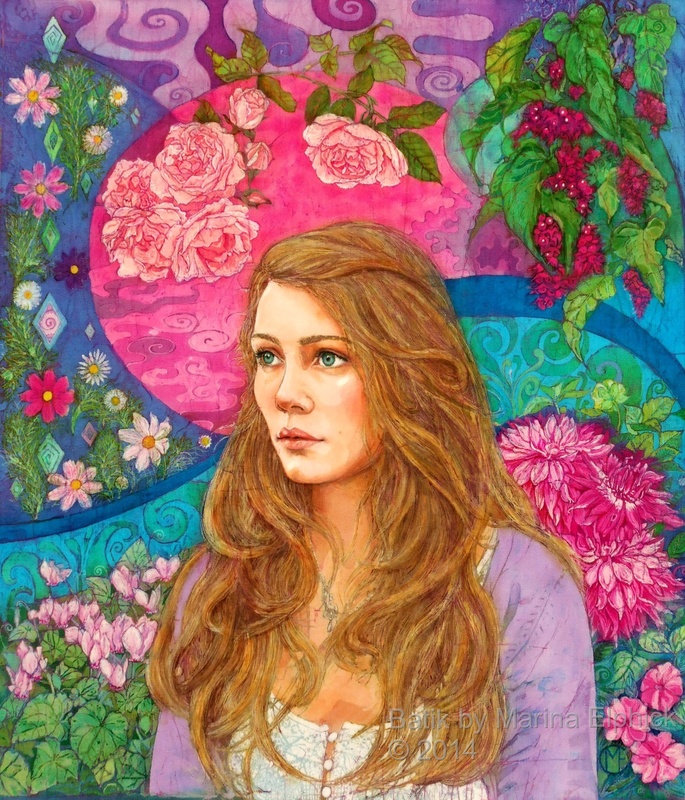 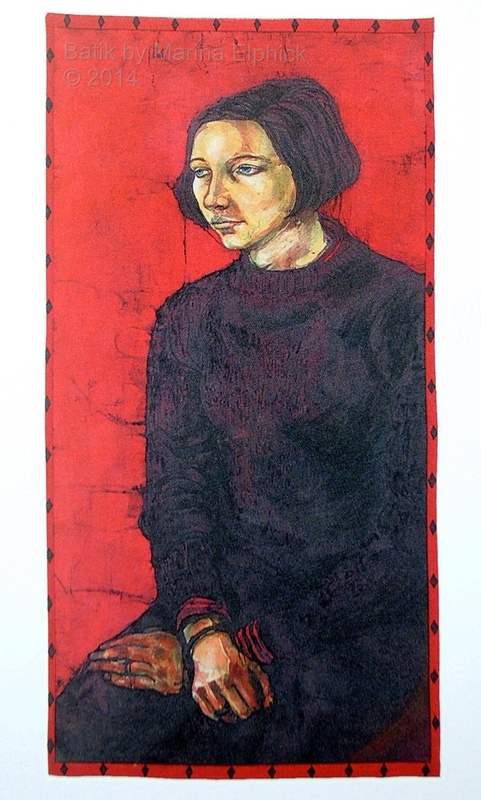 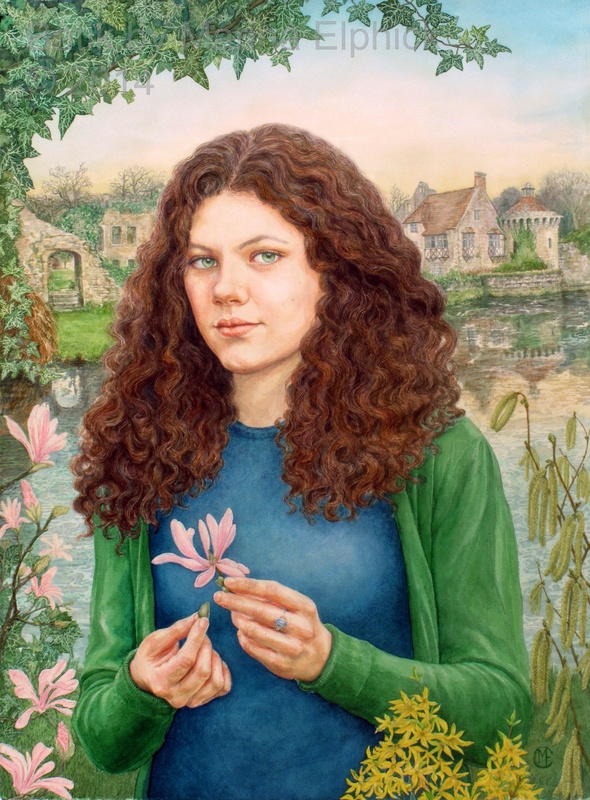 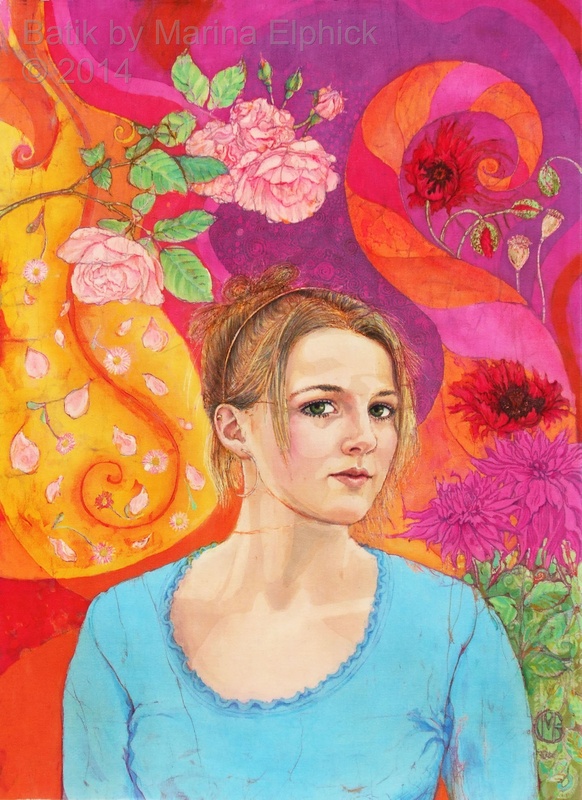 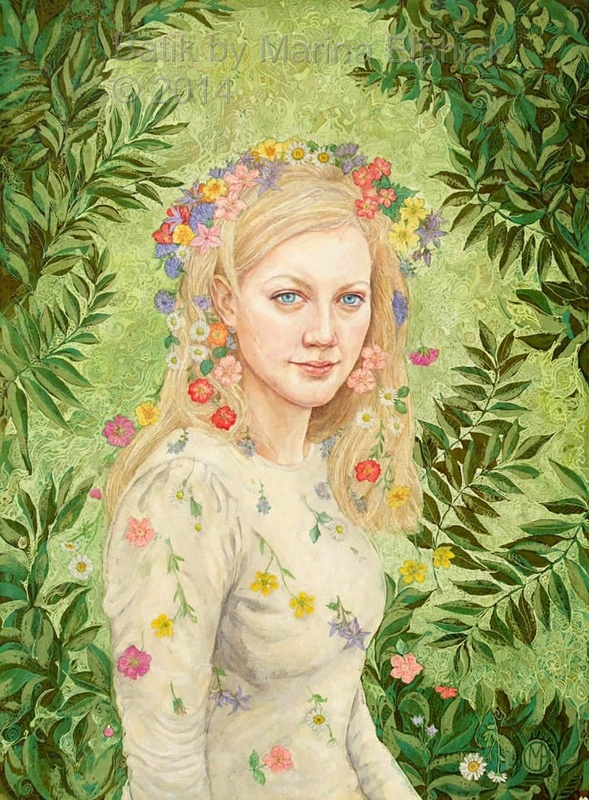 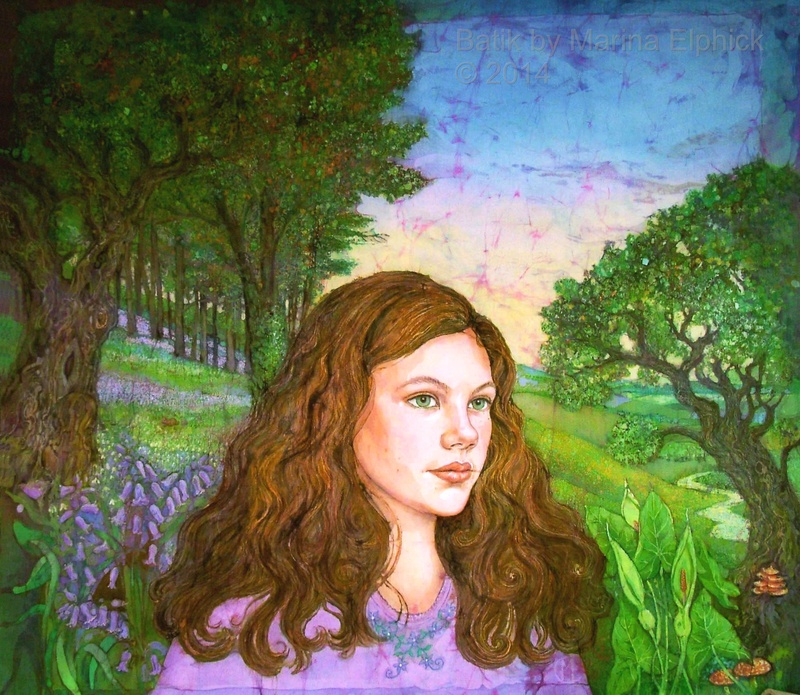 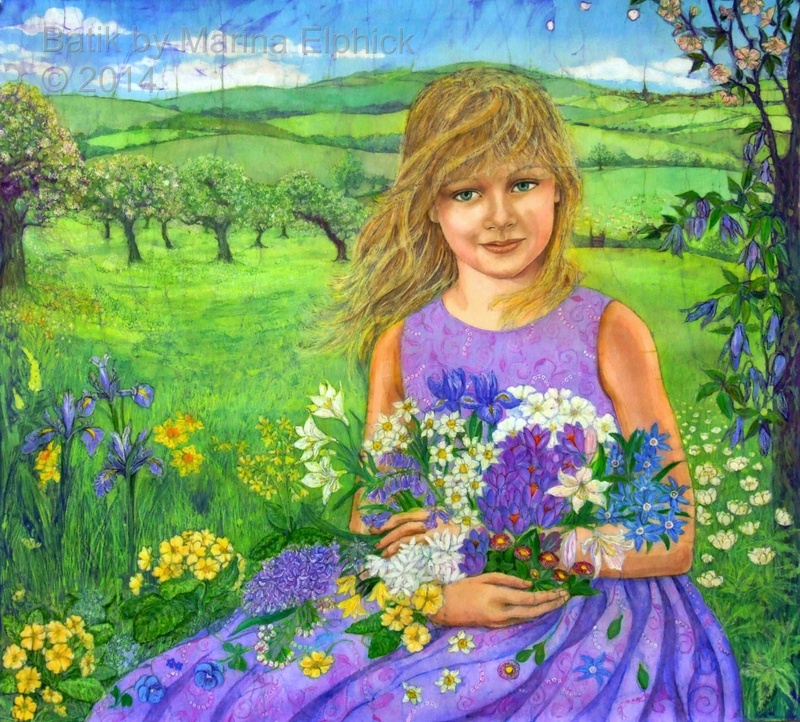 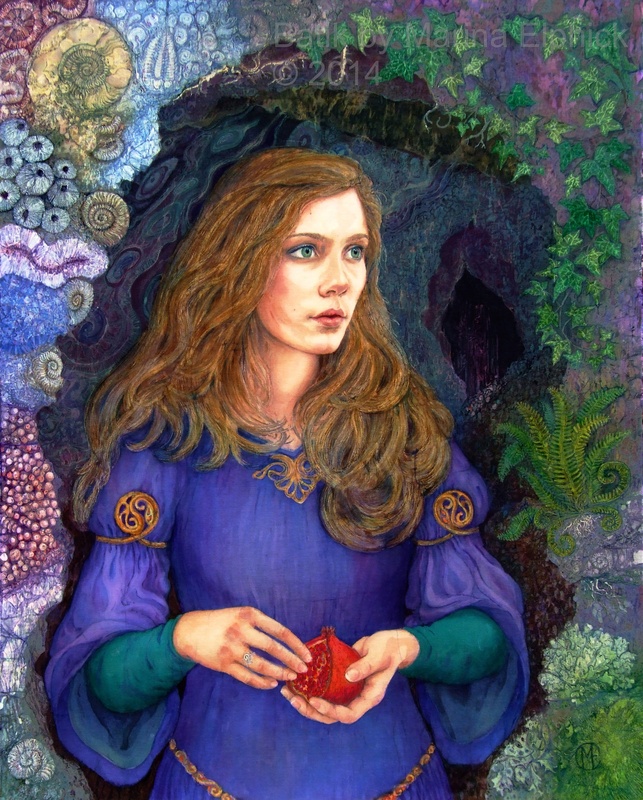 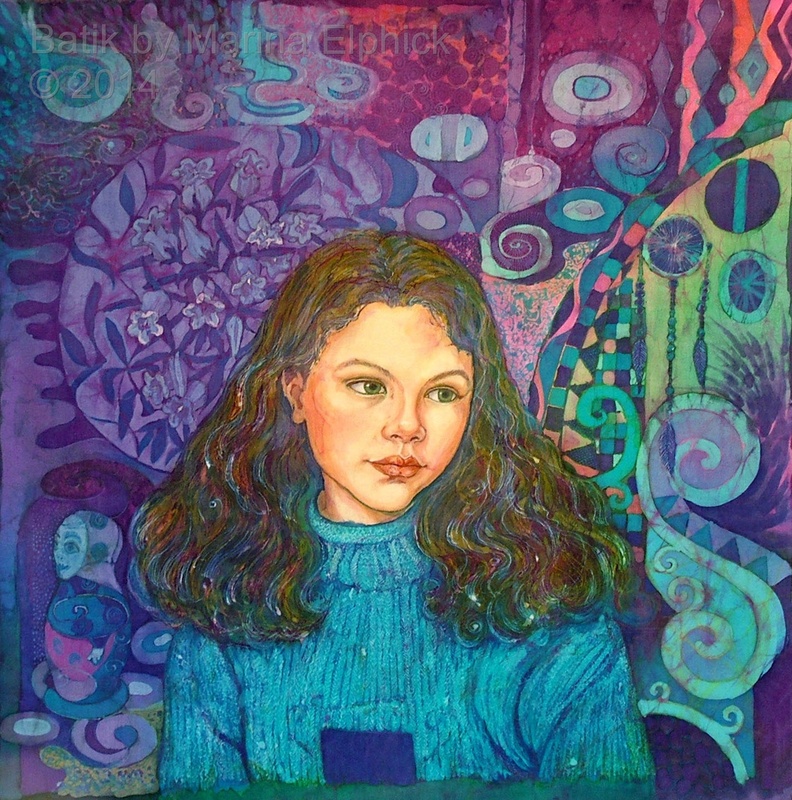 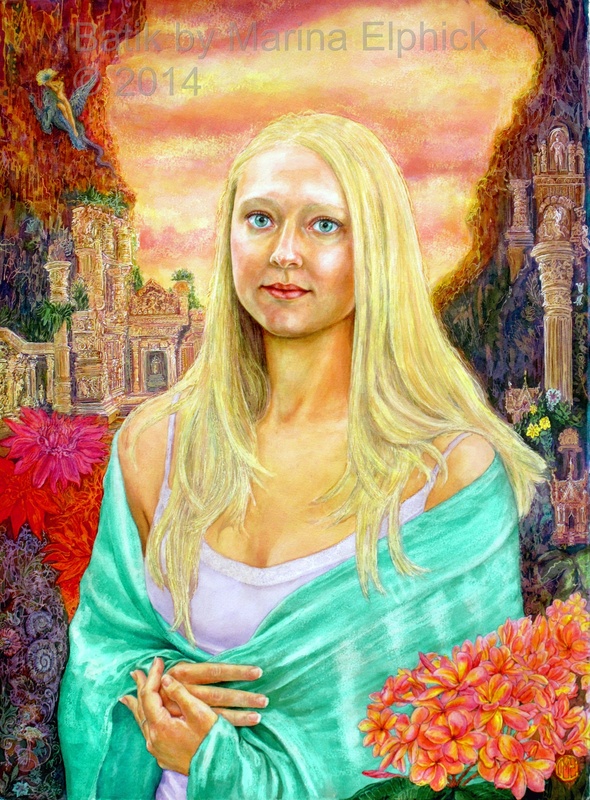 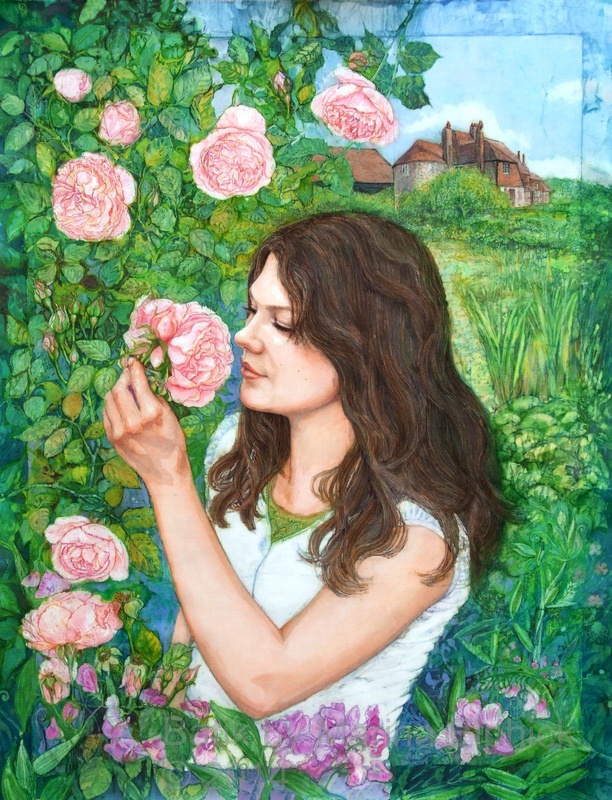 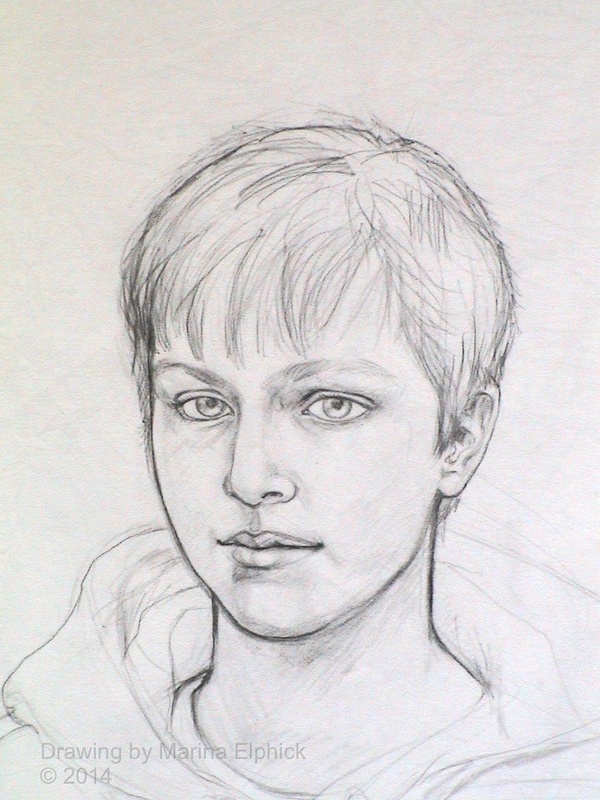 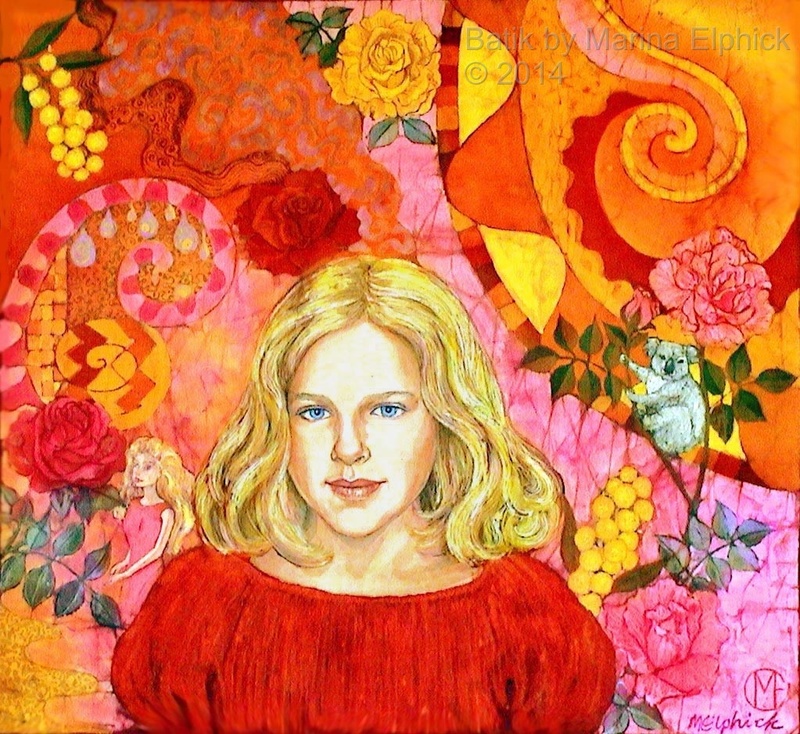 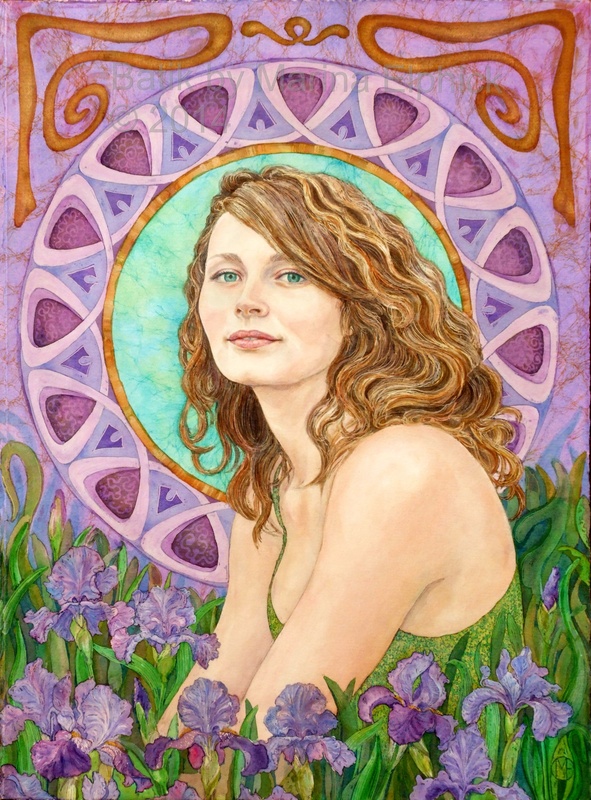 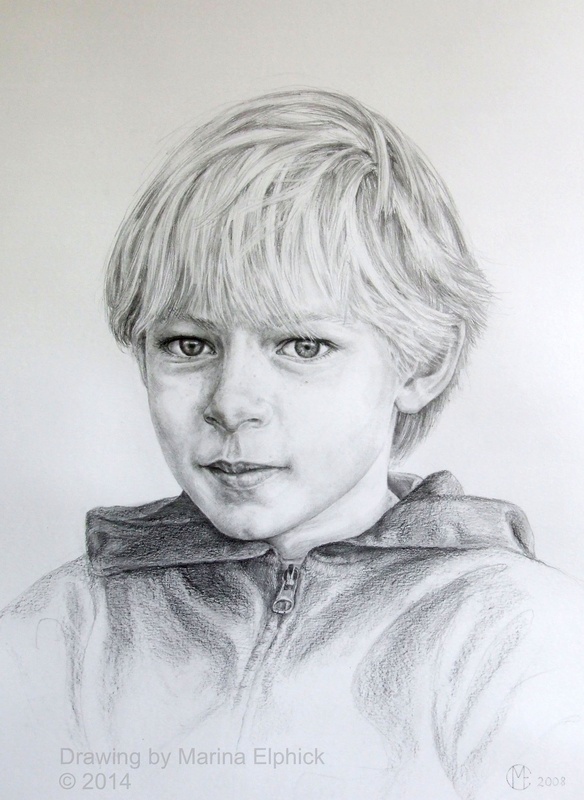 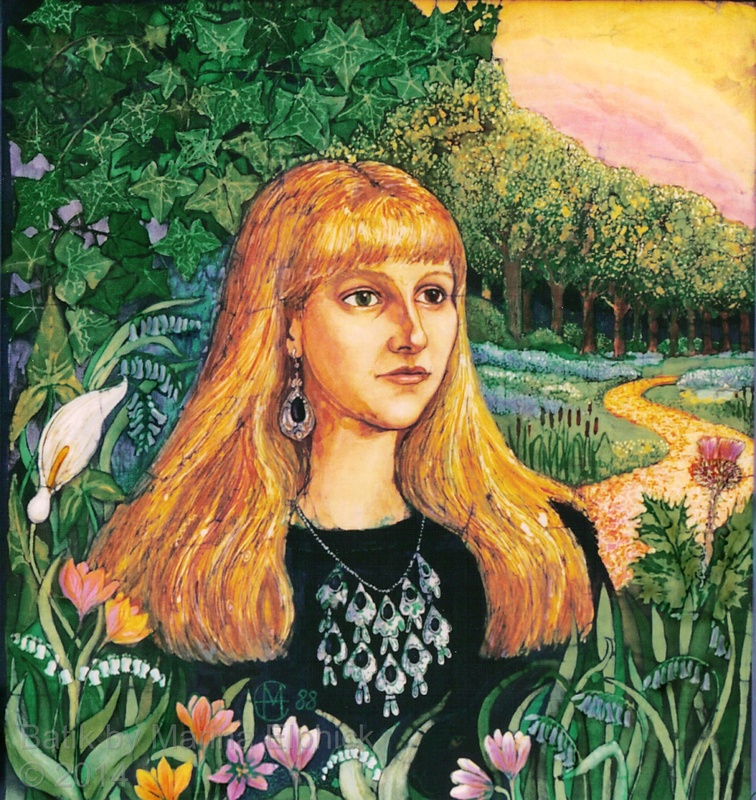 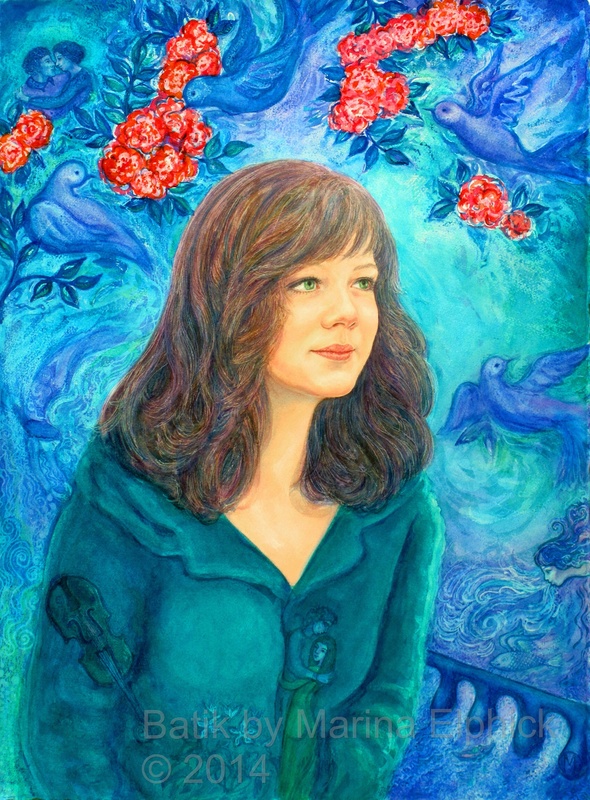 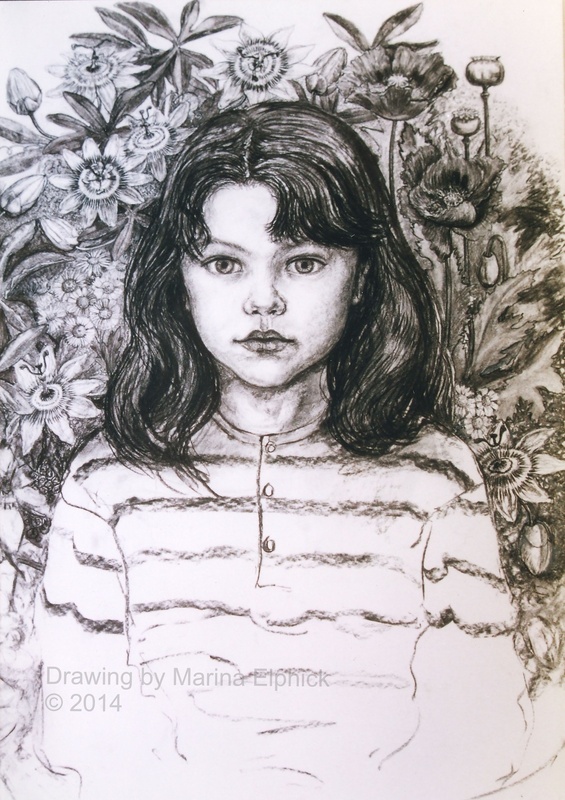 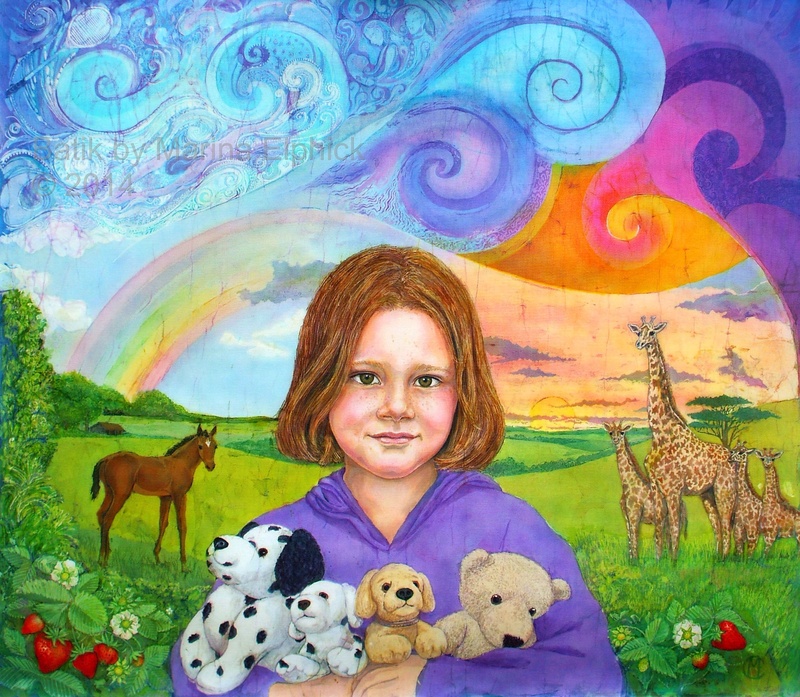 Portrait of Tania, my dear little sister, by Marina Elphick. 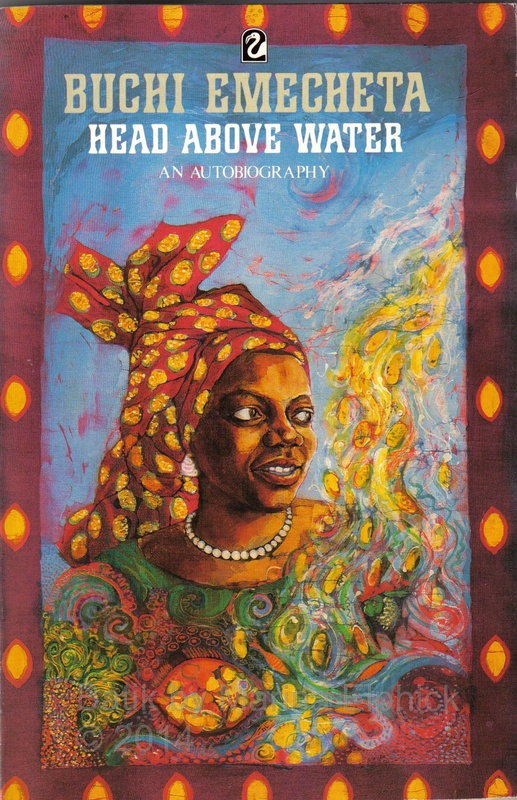 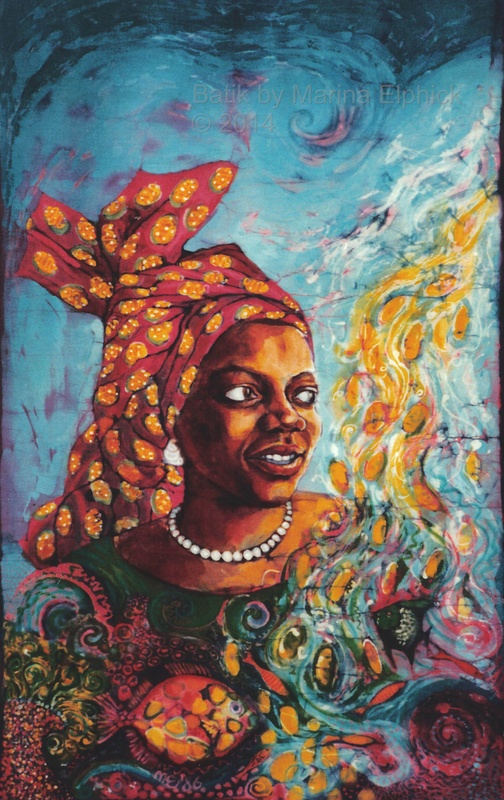 Joys of Motherhood, book cover artwork in batik, on cotton by Marina Elphick Book by Buchi Emecheta. 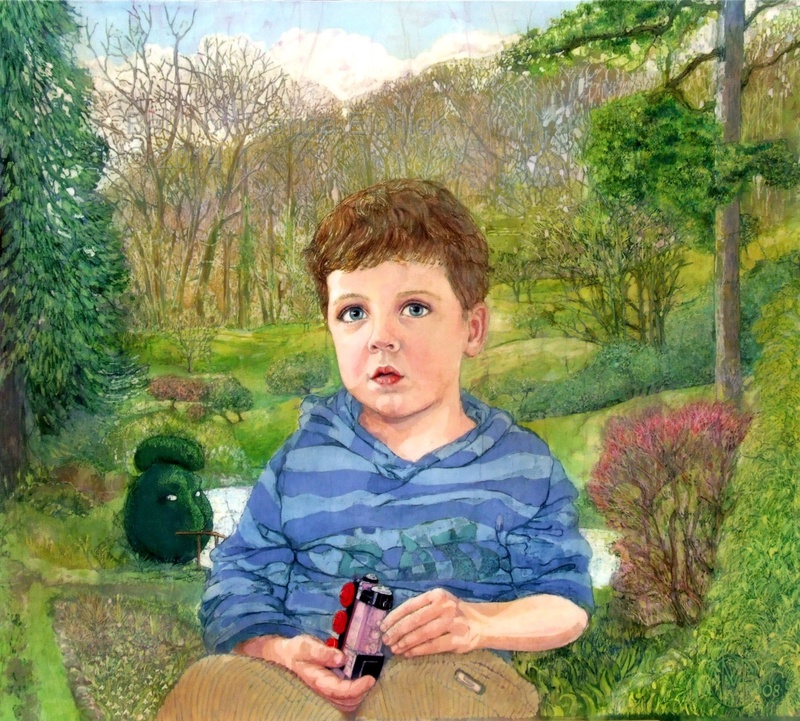 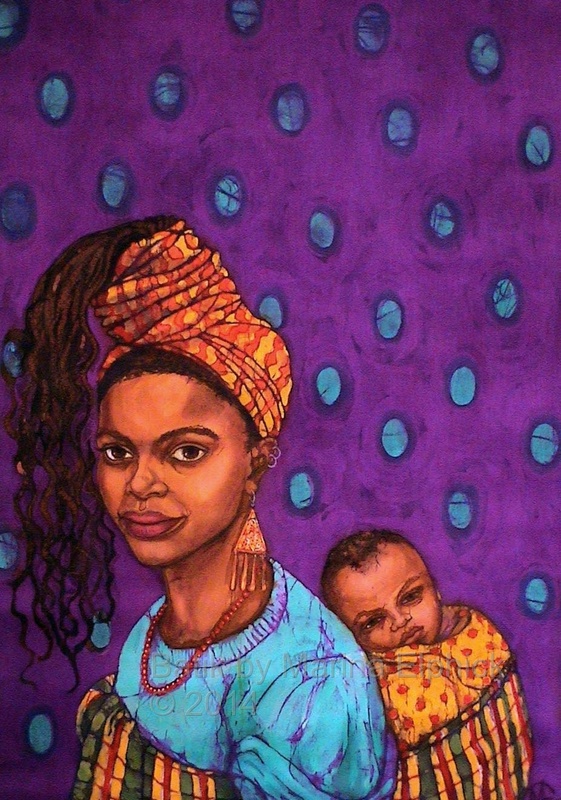 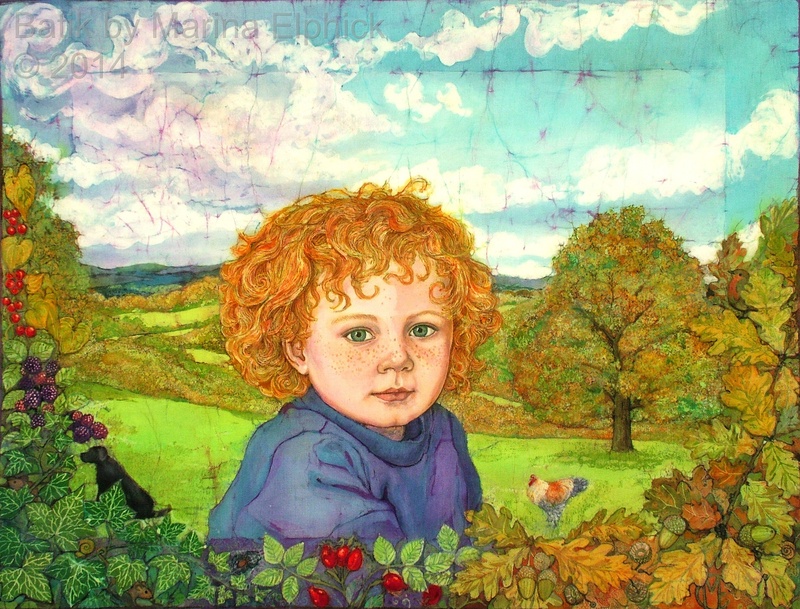 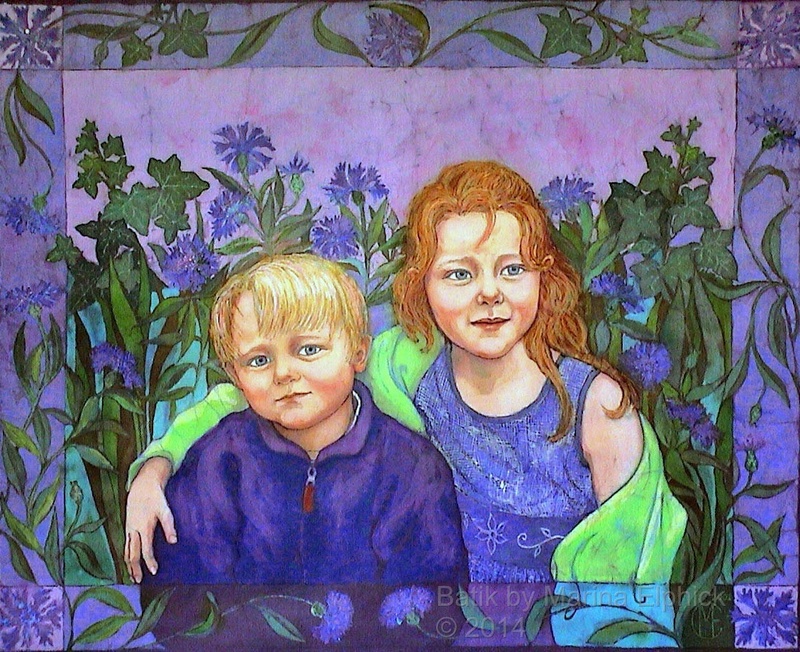 James and Olivia , life size portrait , batik on cotton by Marina Elphick. 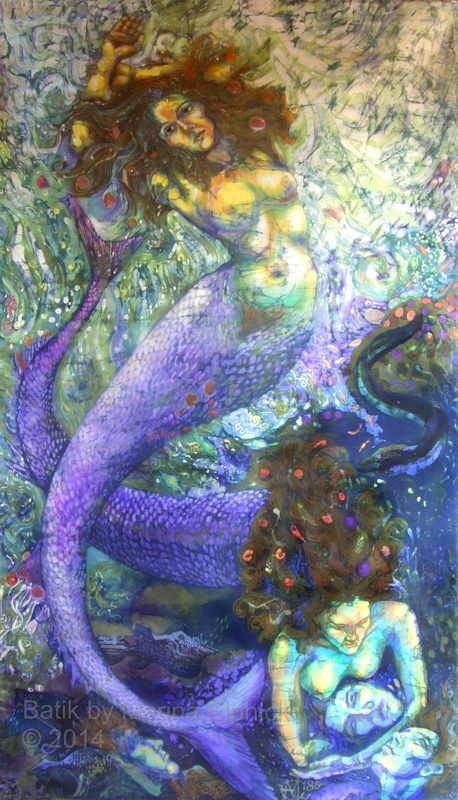 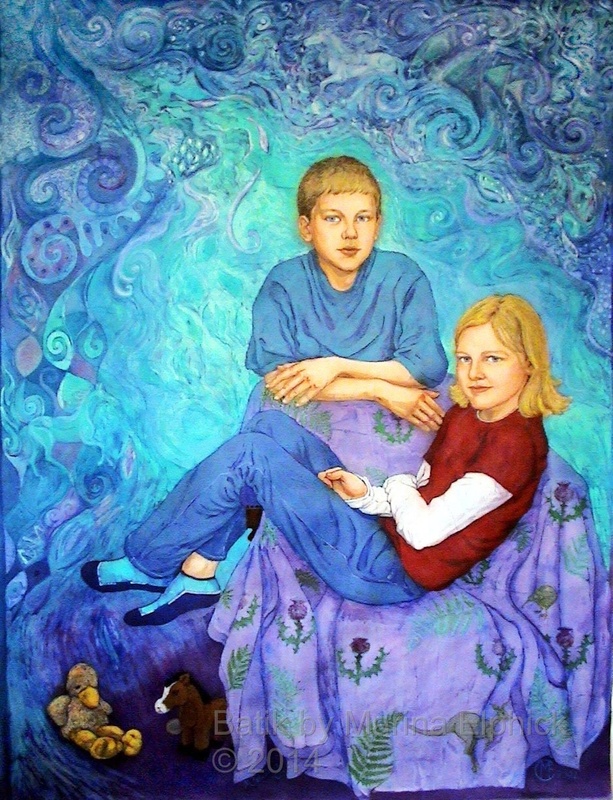 127cm x 163cm. 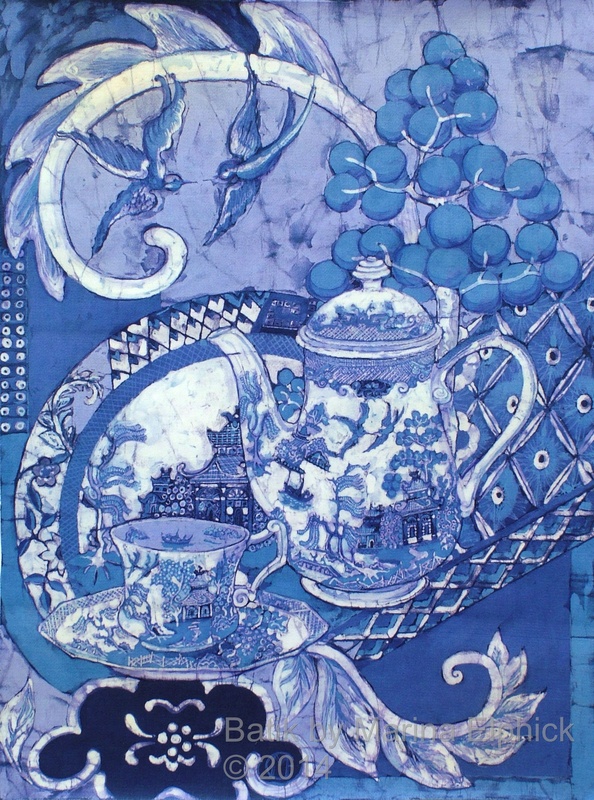 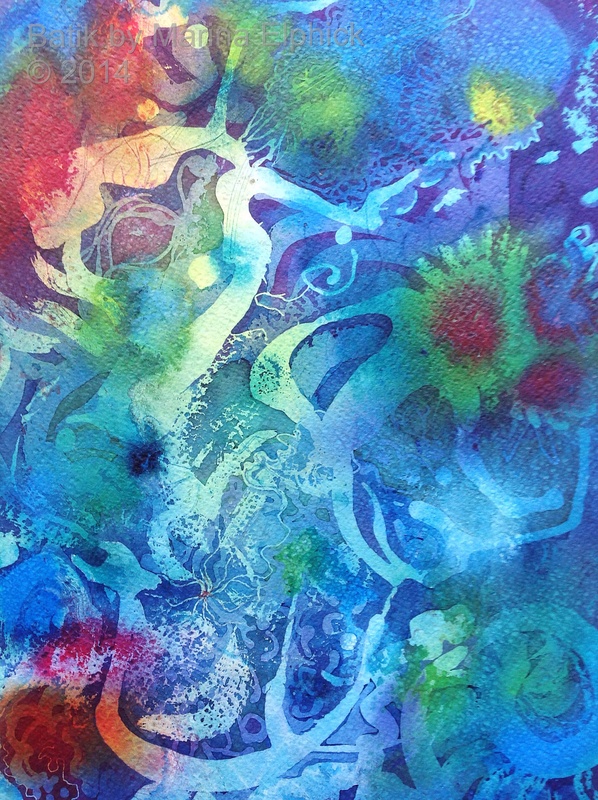 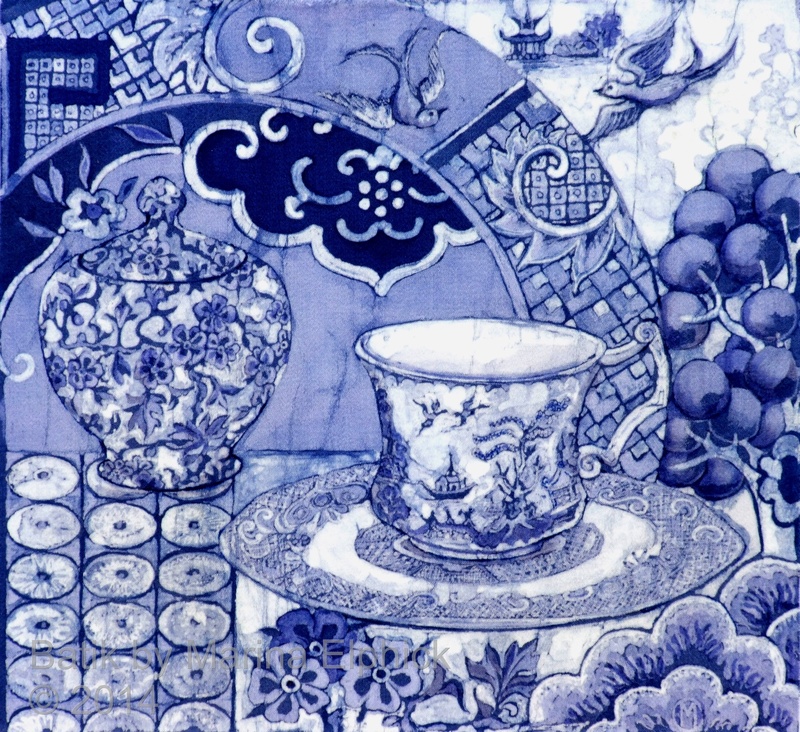 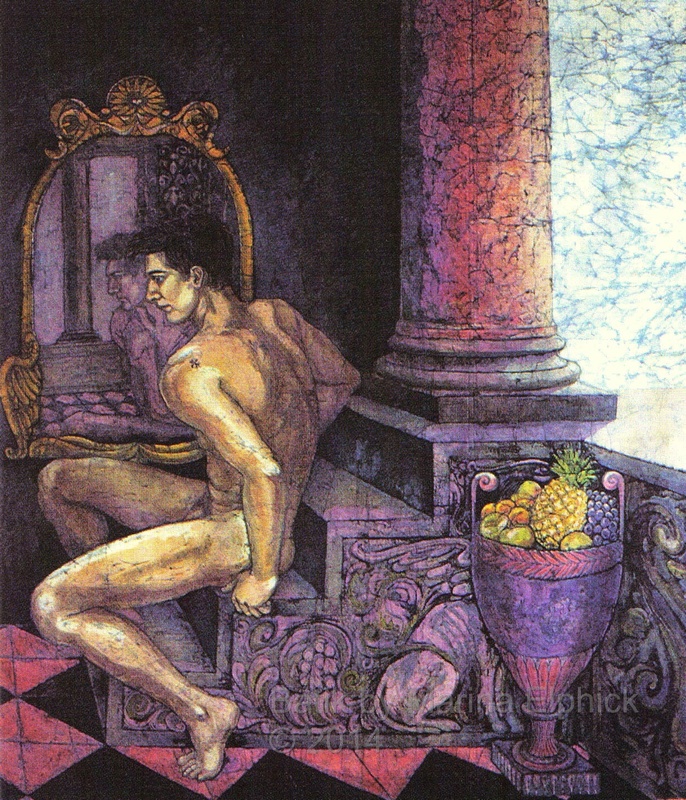 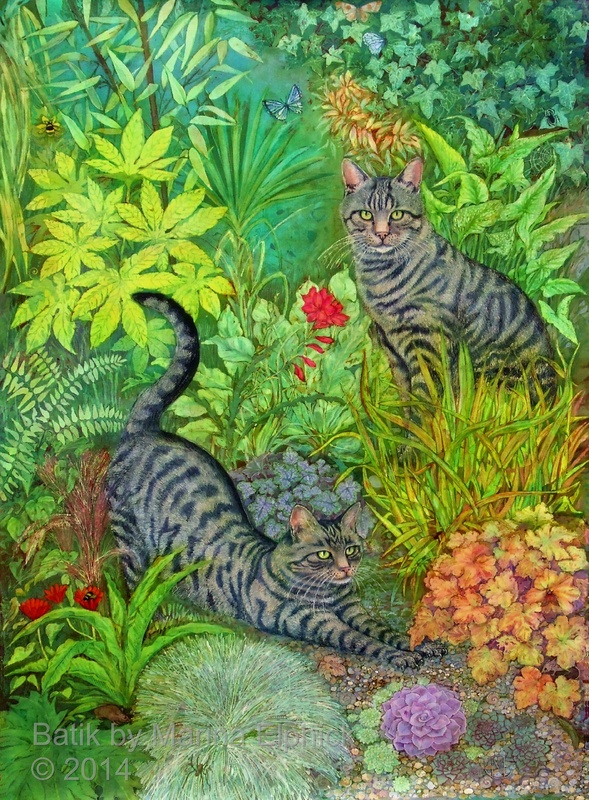 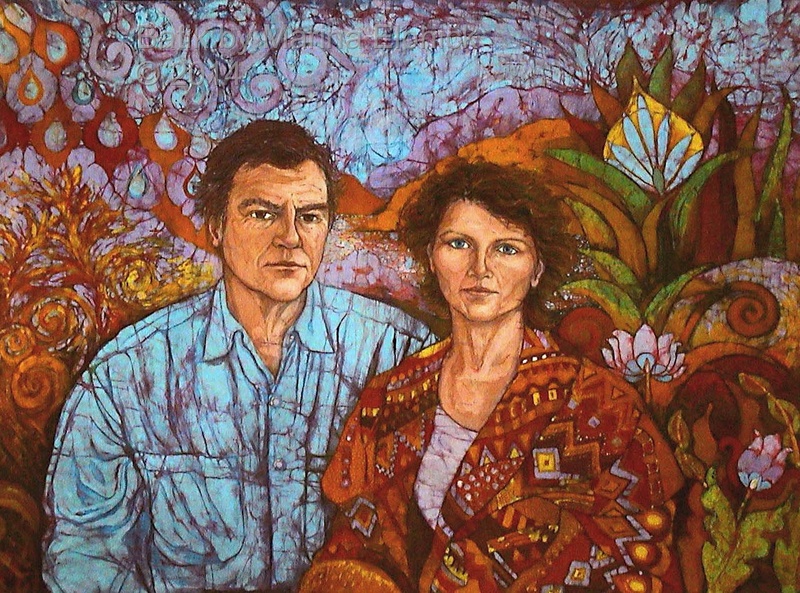 Detail from James and Olivia Batik, by Marina Elphick. 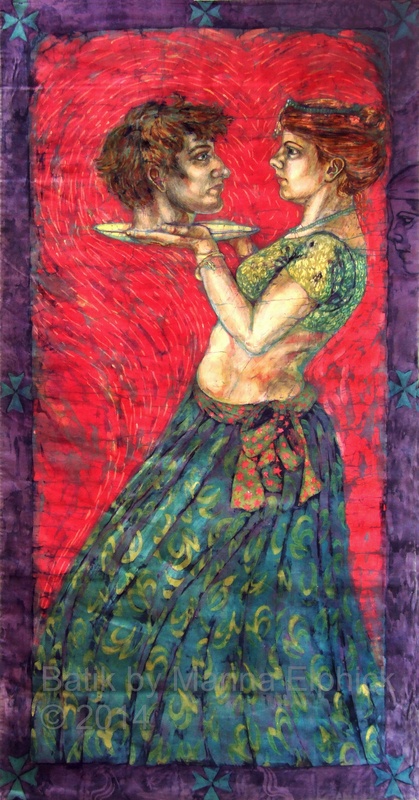 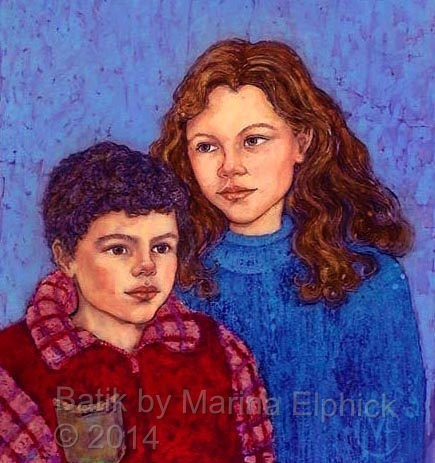 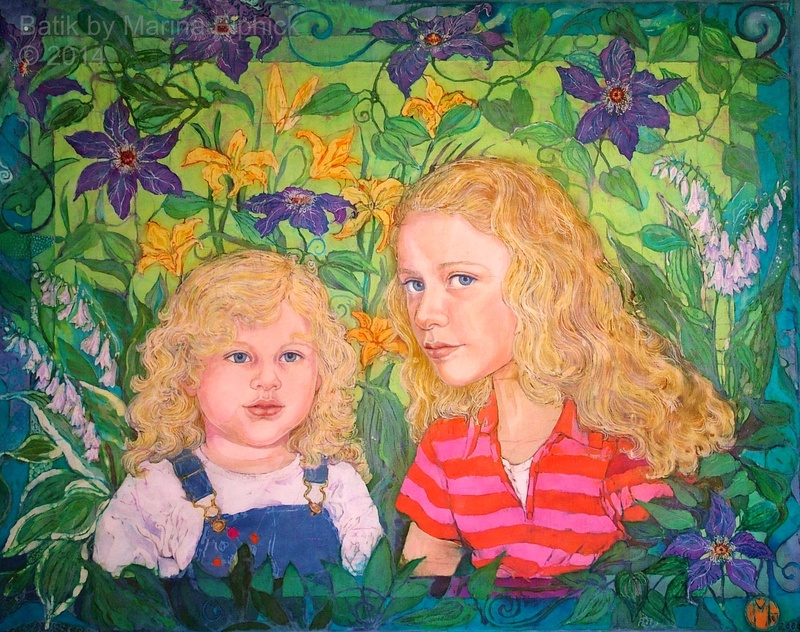 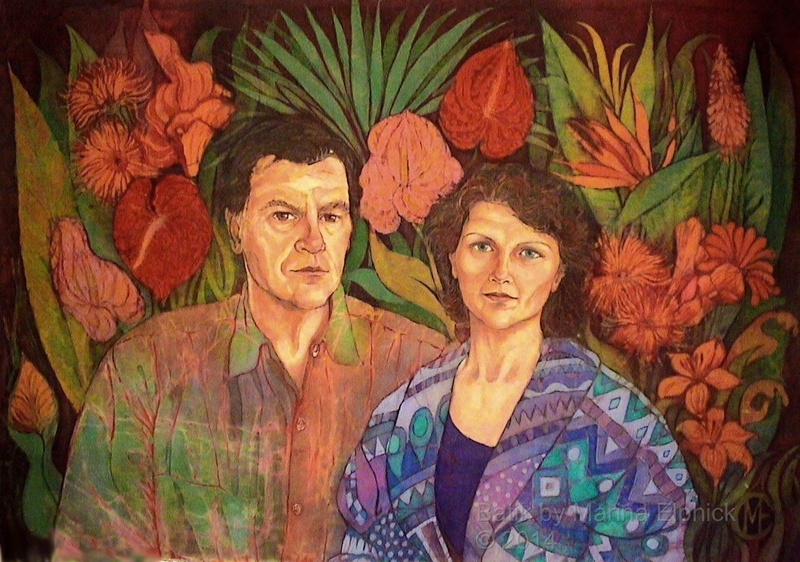 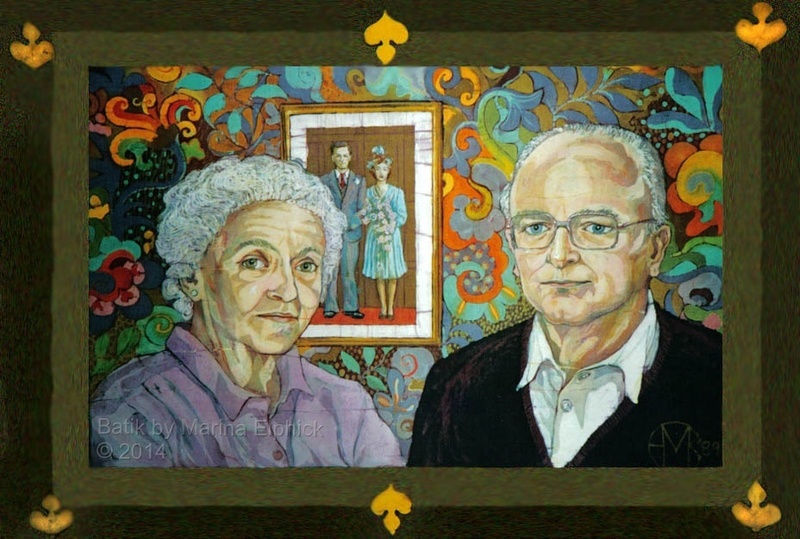 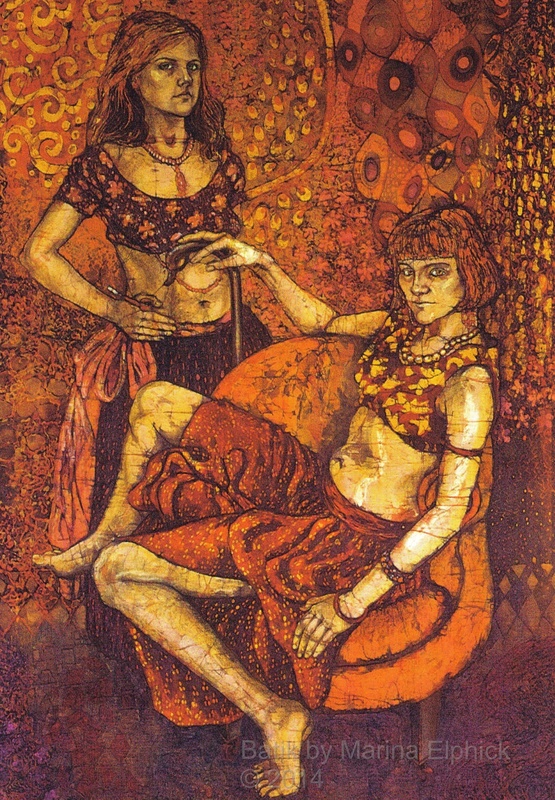 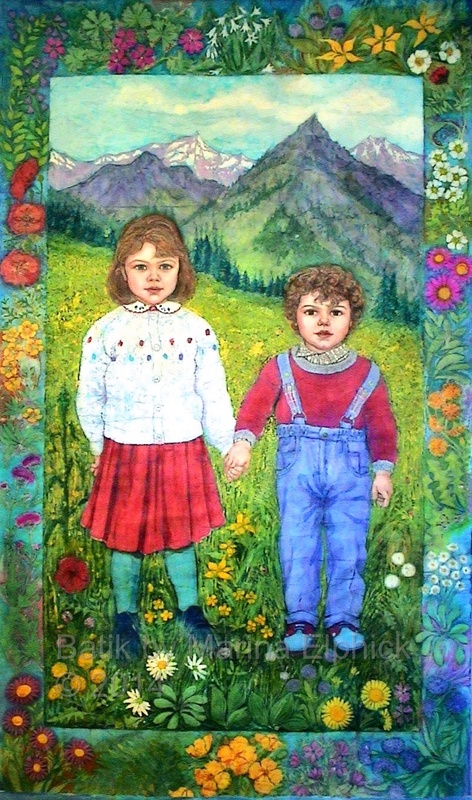 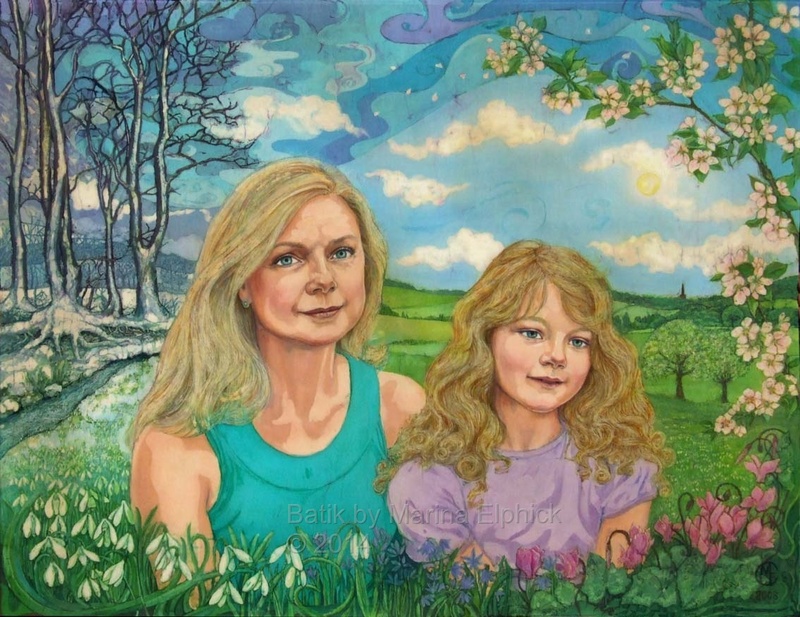 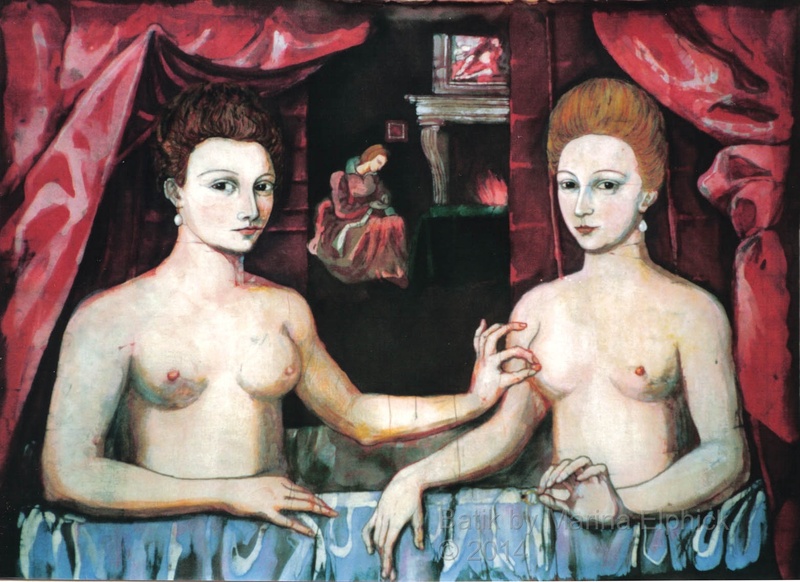 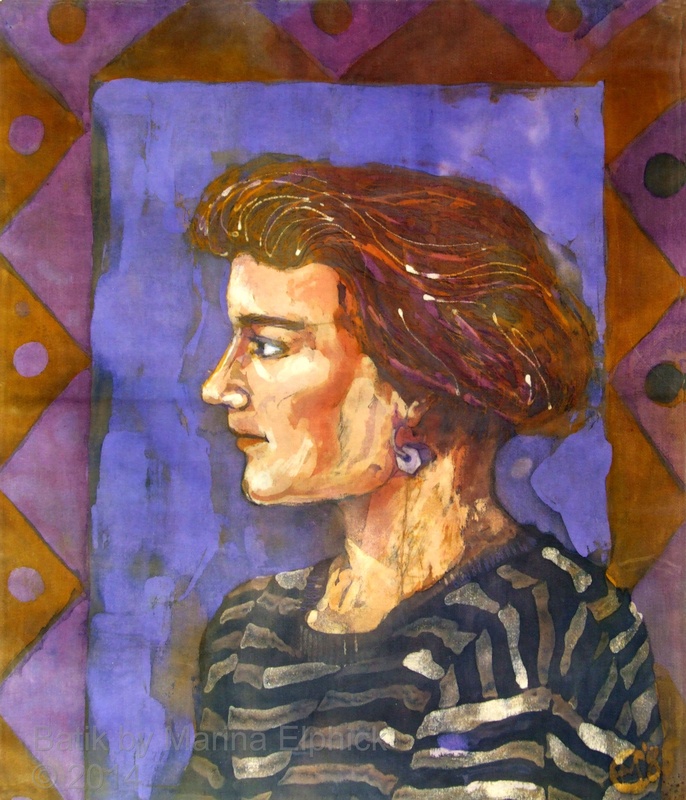 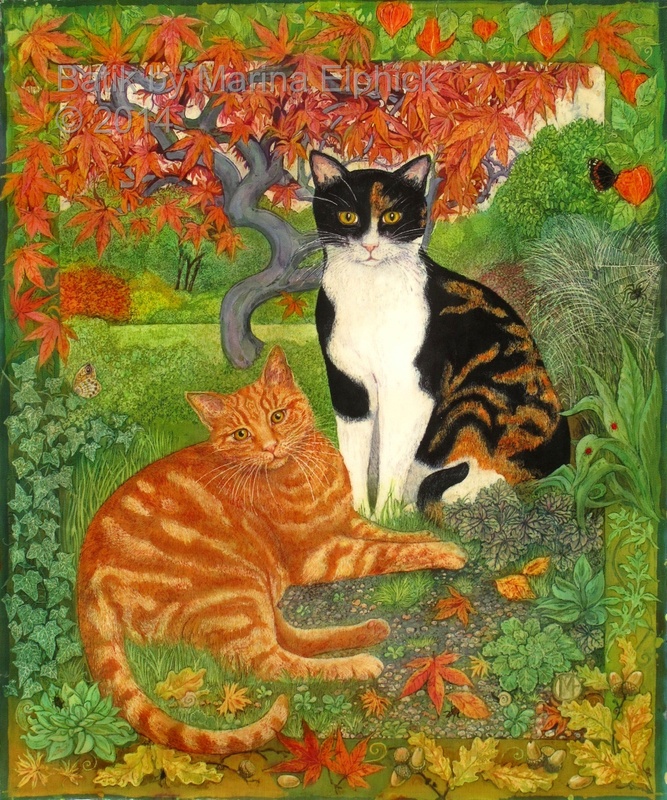 Early portrait of Stephen and Rachel , batik portrait on cotton by Marina Elphick. 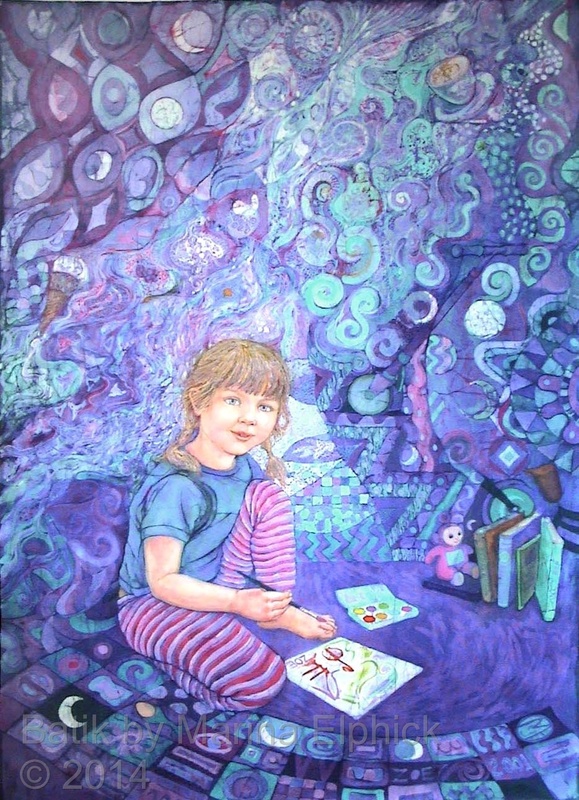 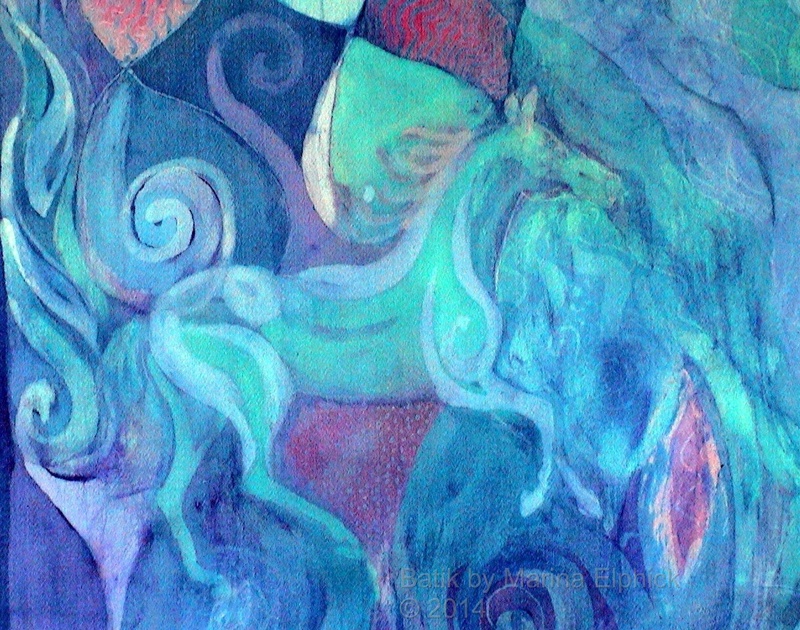 90cm x 66cm. 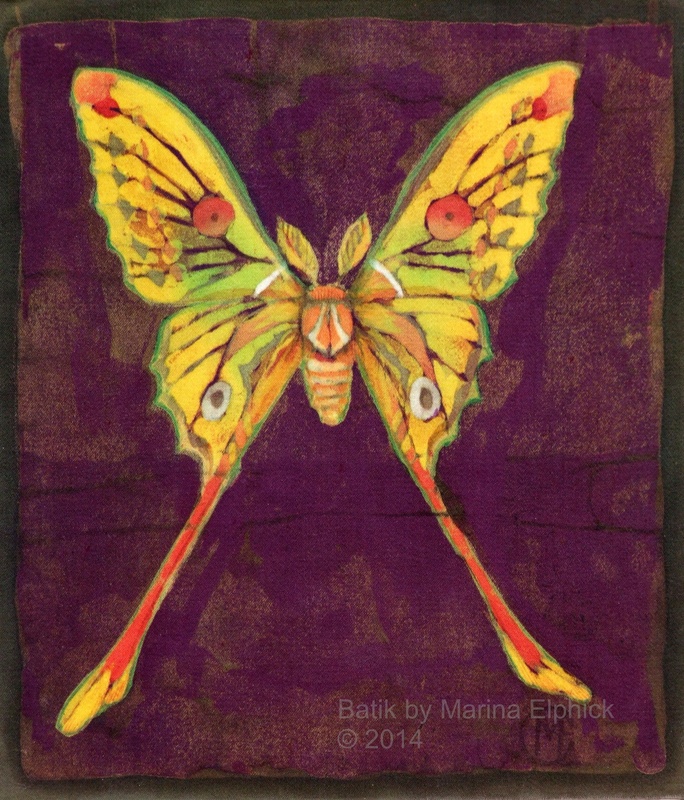 Second Class Citizen, book cover artwork in batik, on cotton by Marina Elphick Book by Buchi Emecheta. 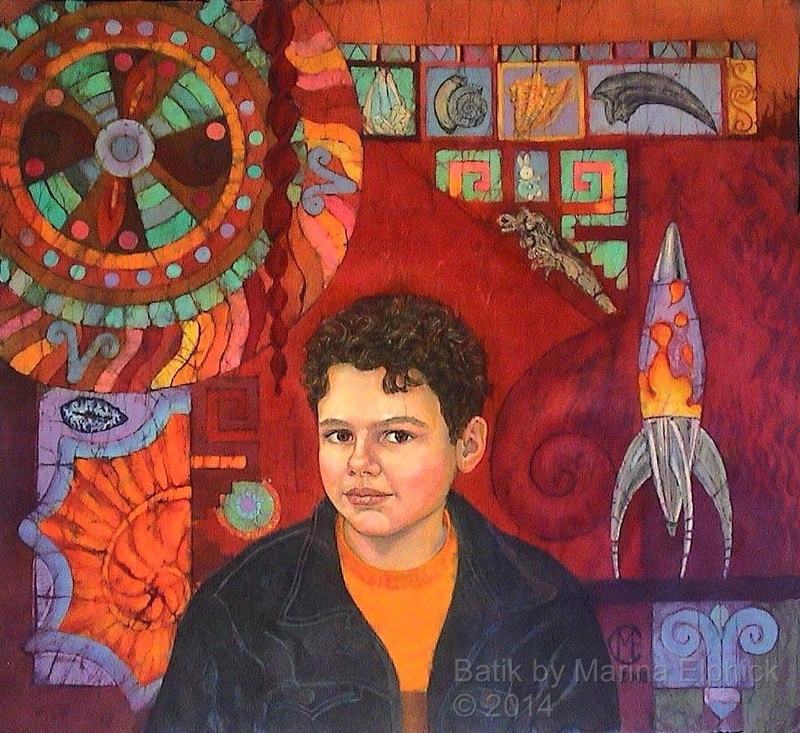 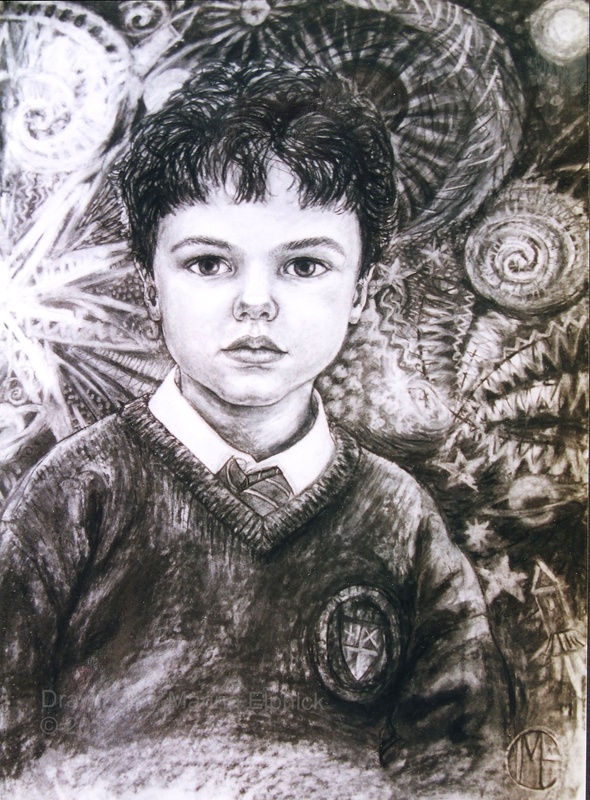 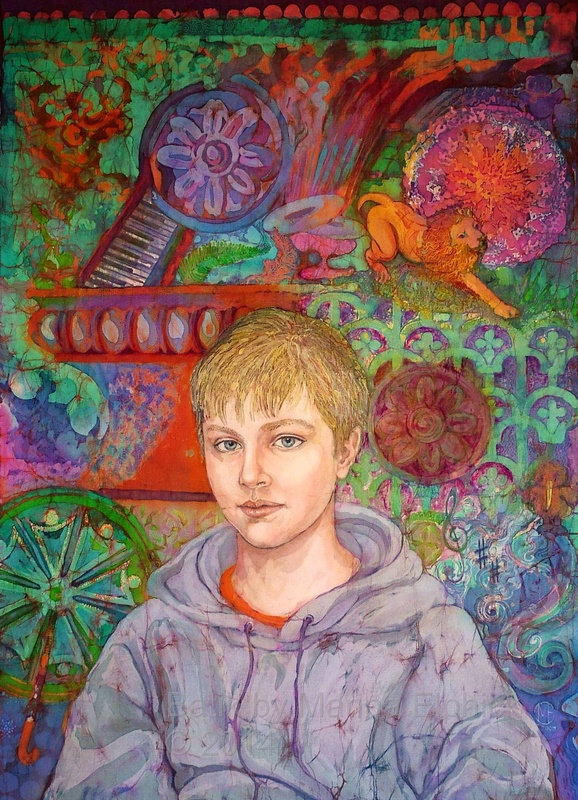 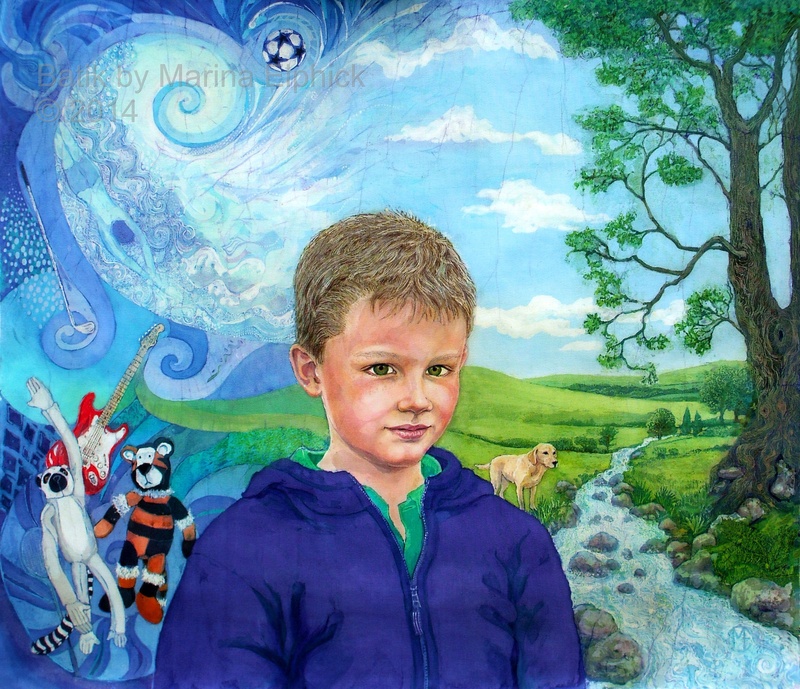 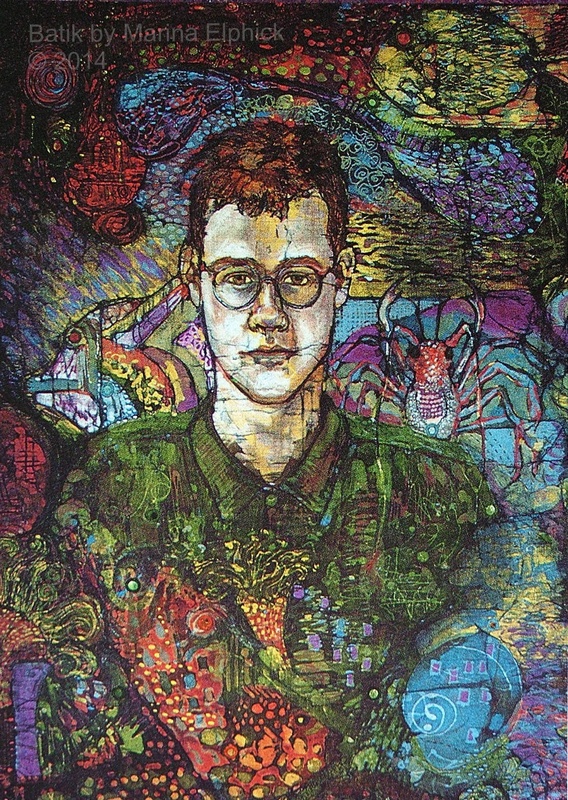 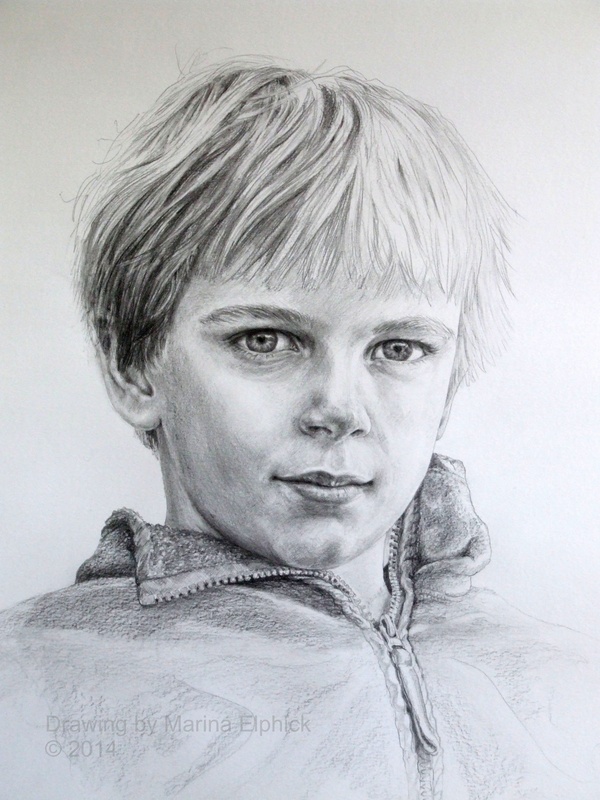 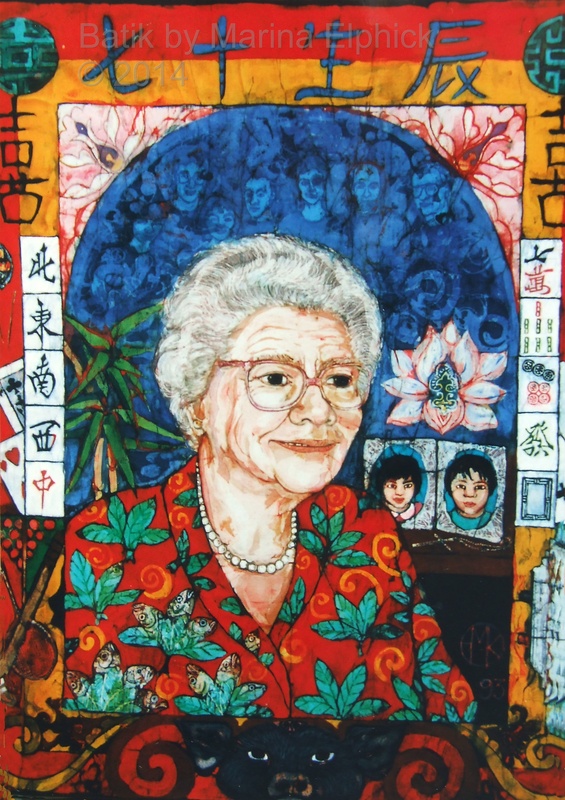 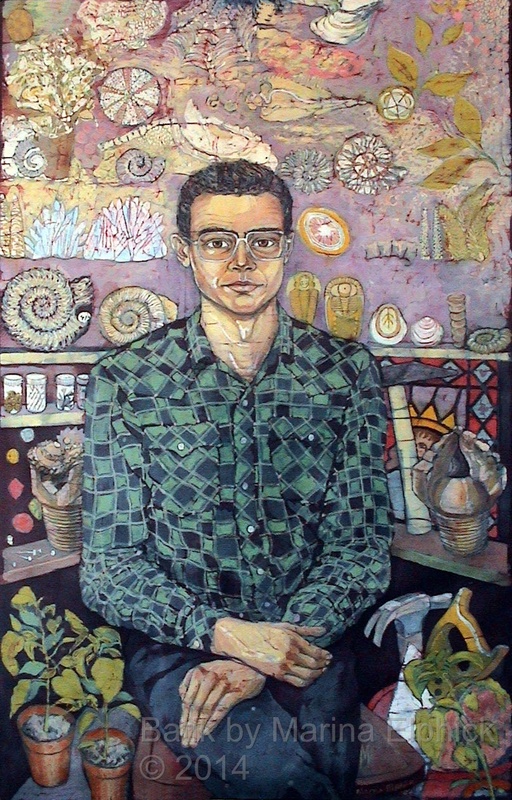 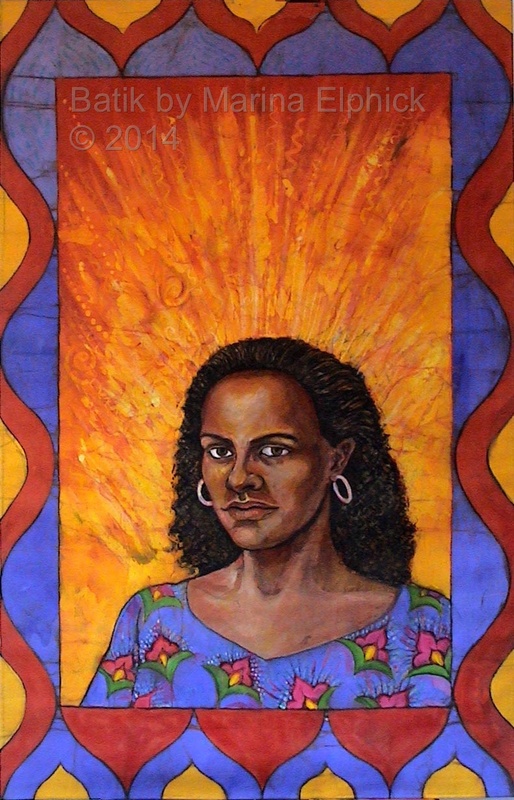 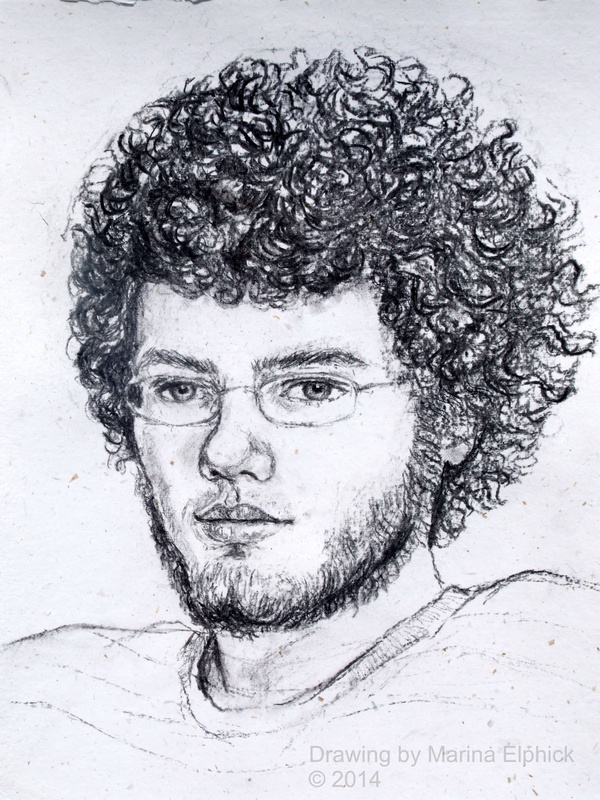 Batik portrait of Felix, by Marina Elphick . 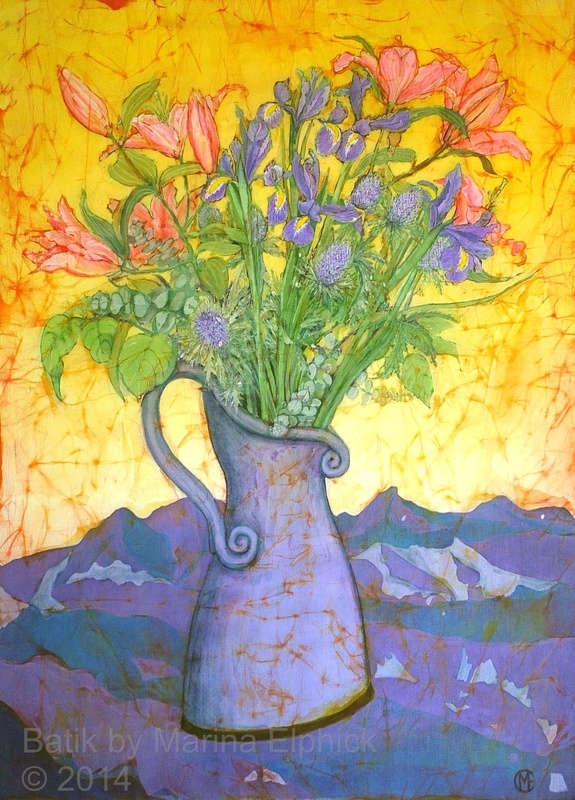 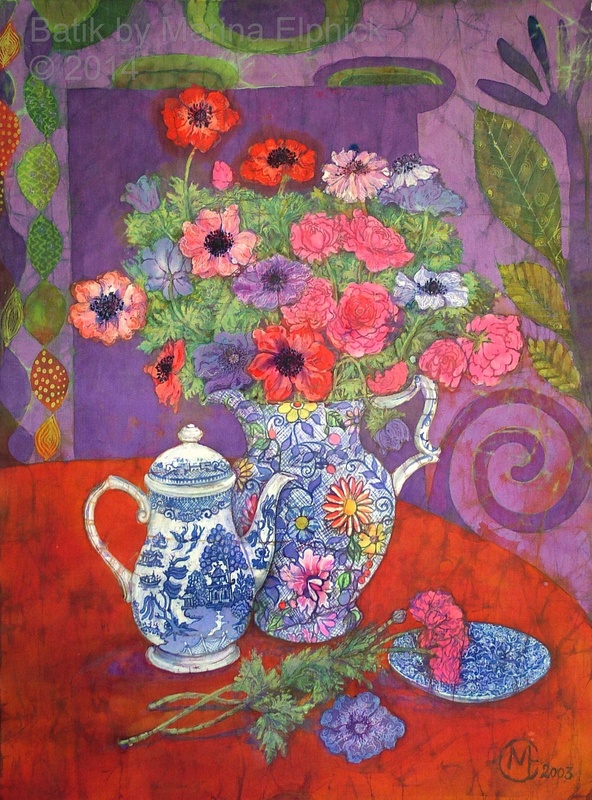 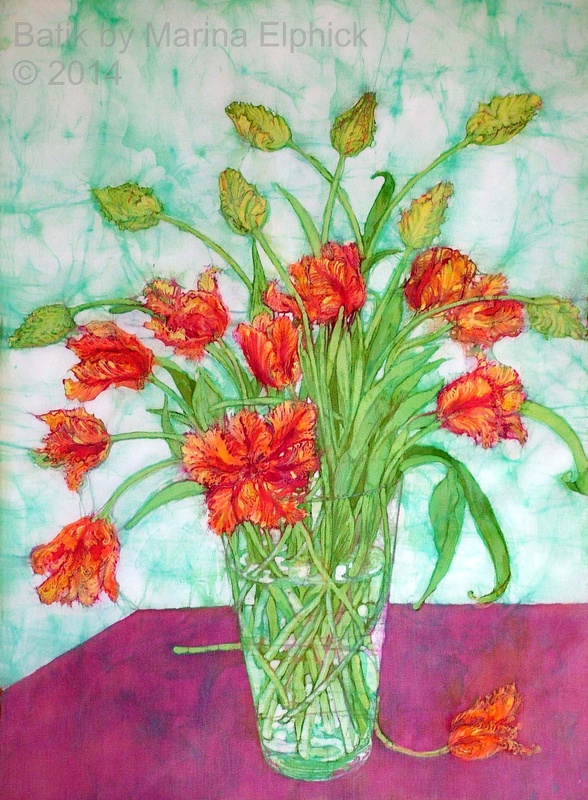 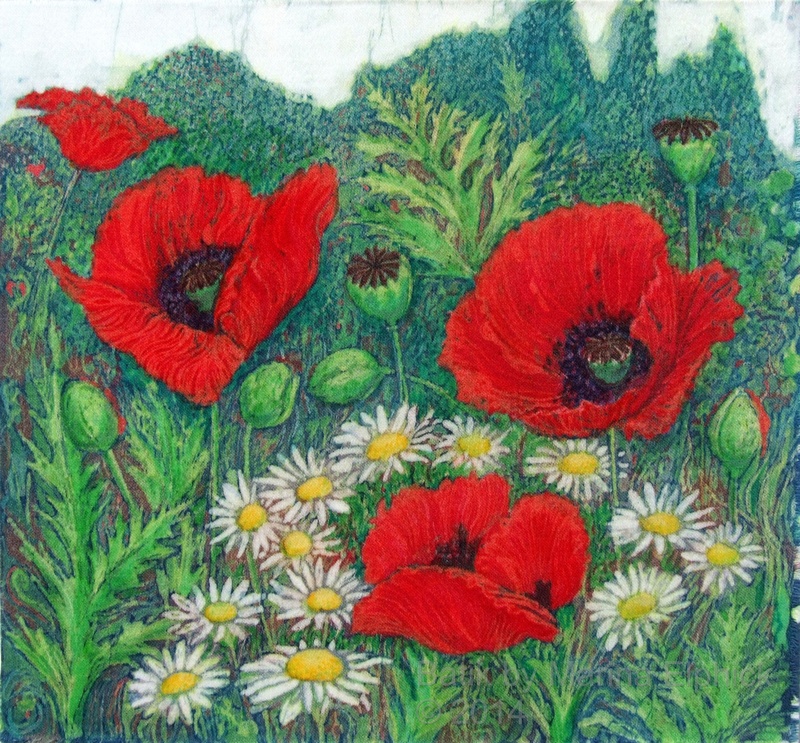 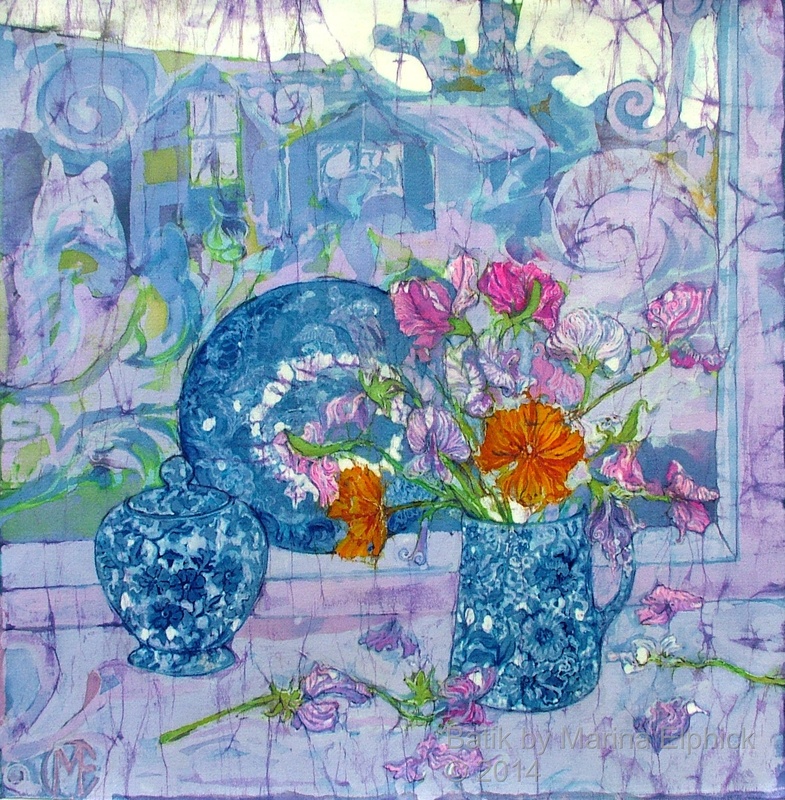 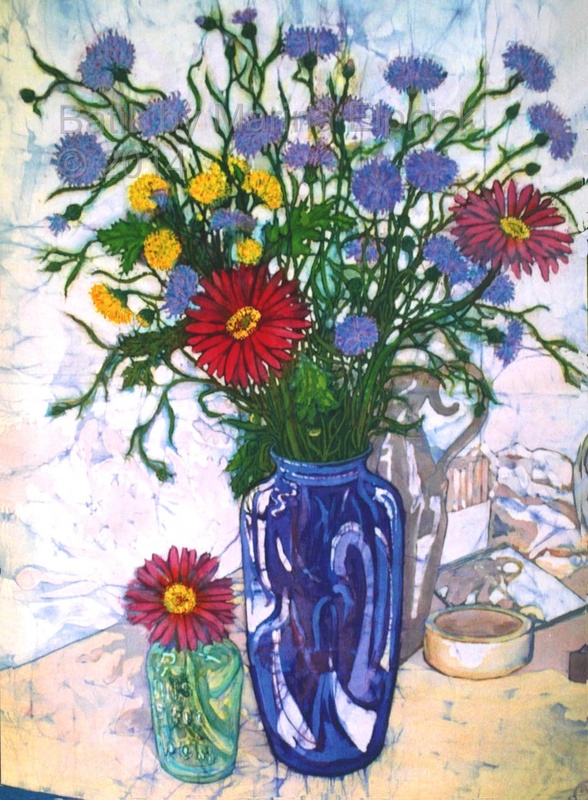 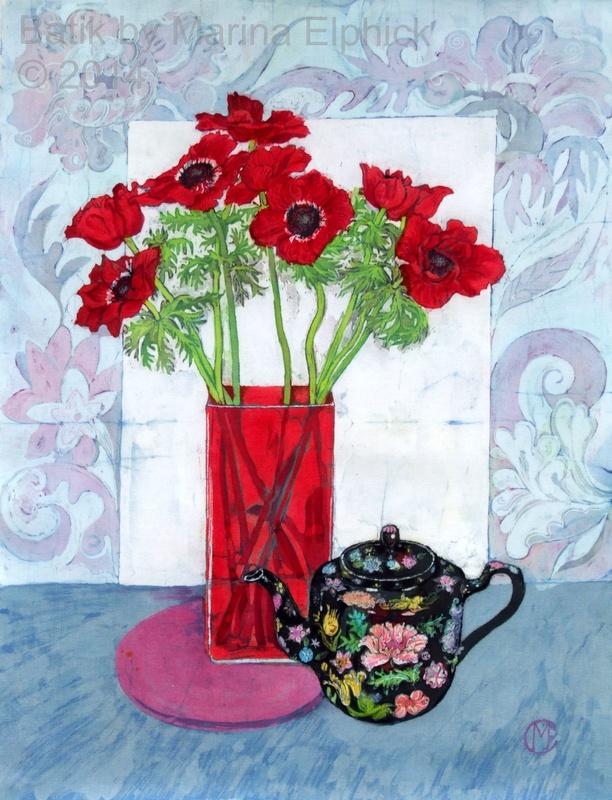 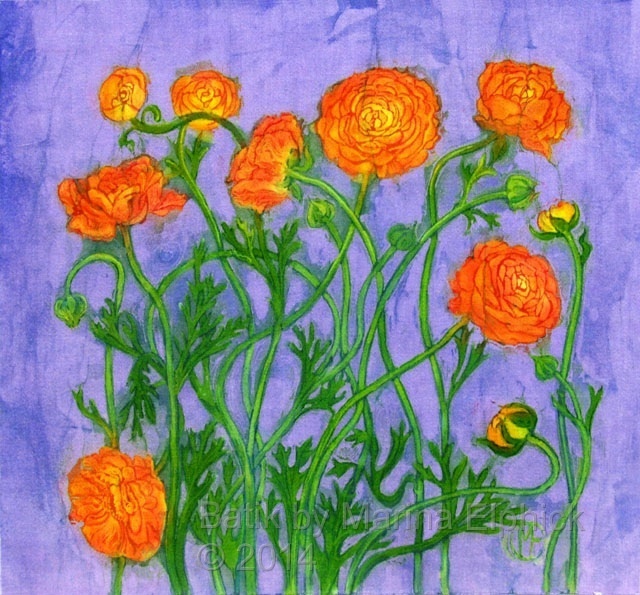 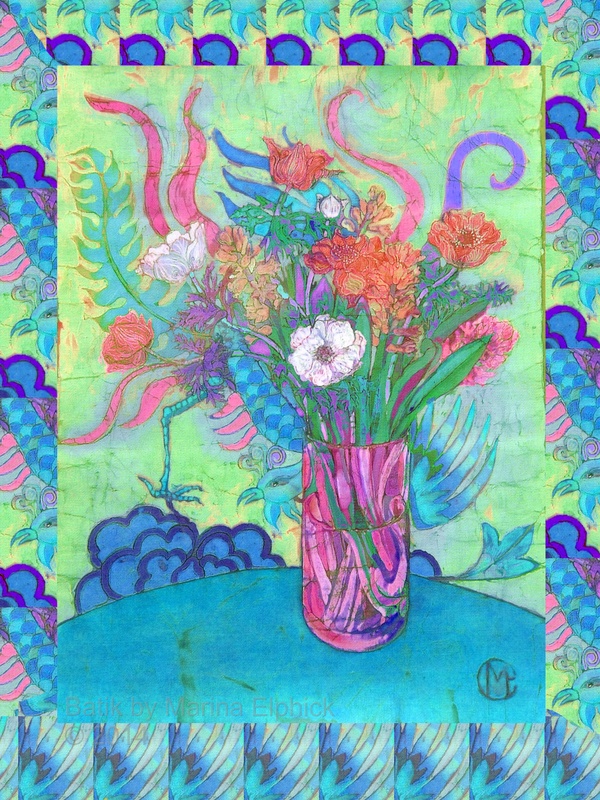 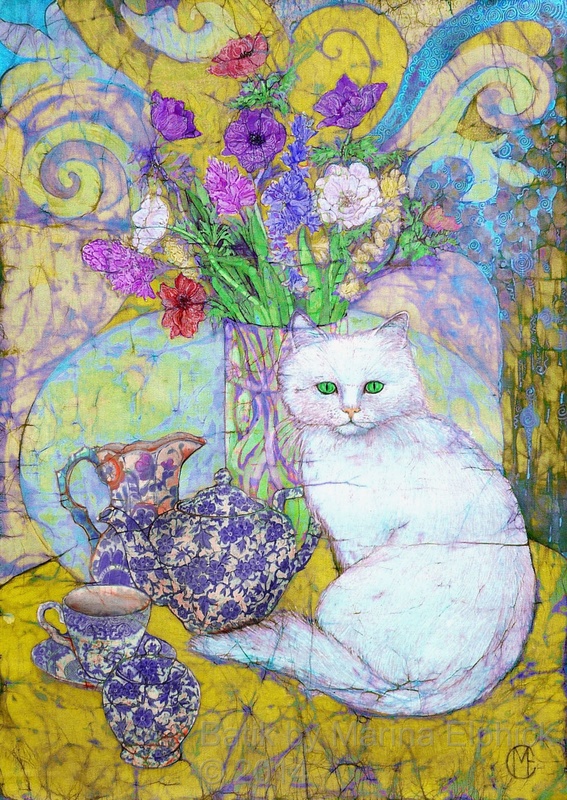 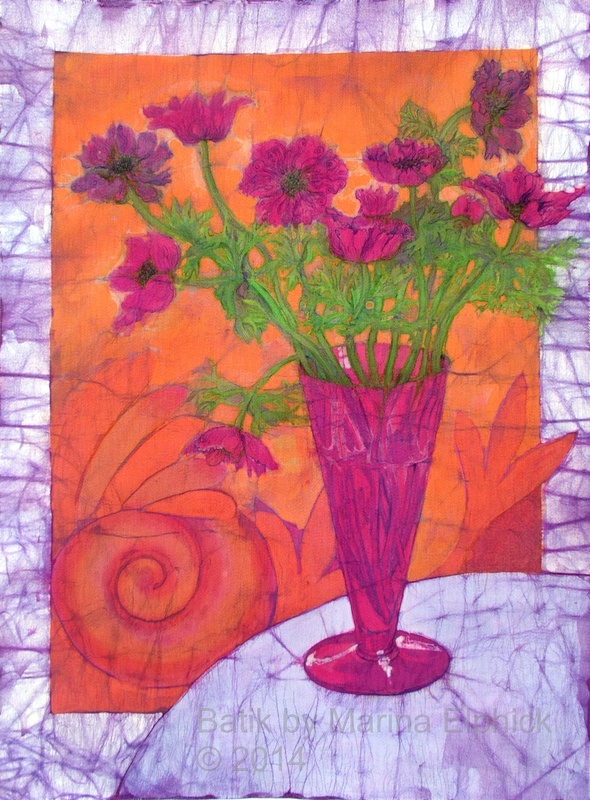 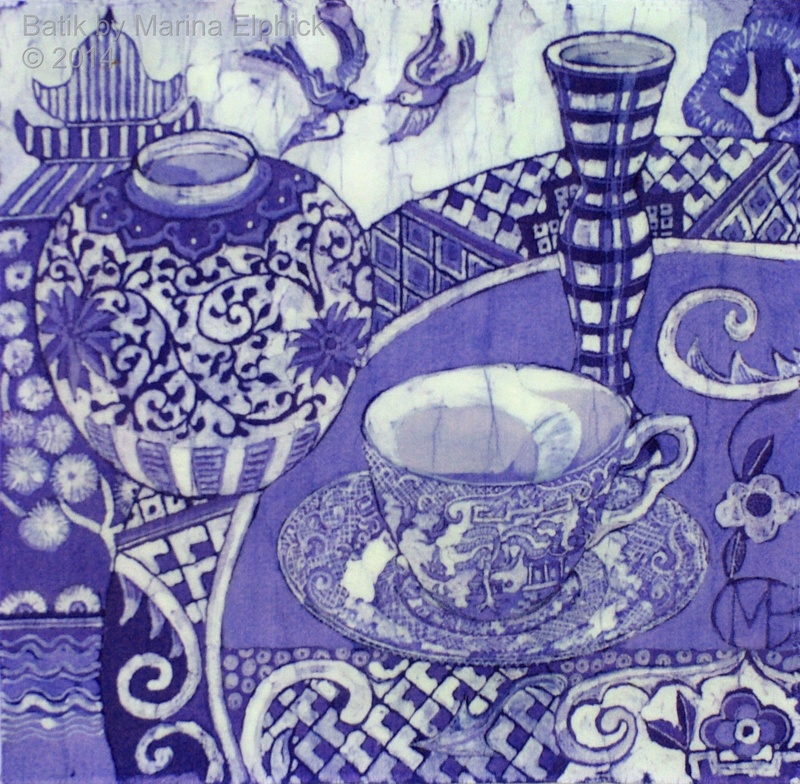 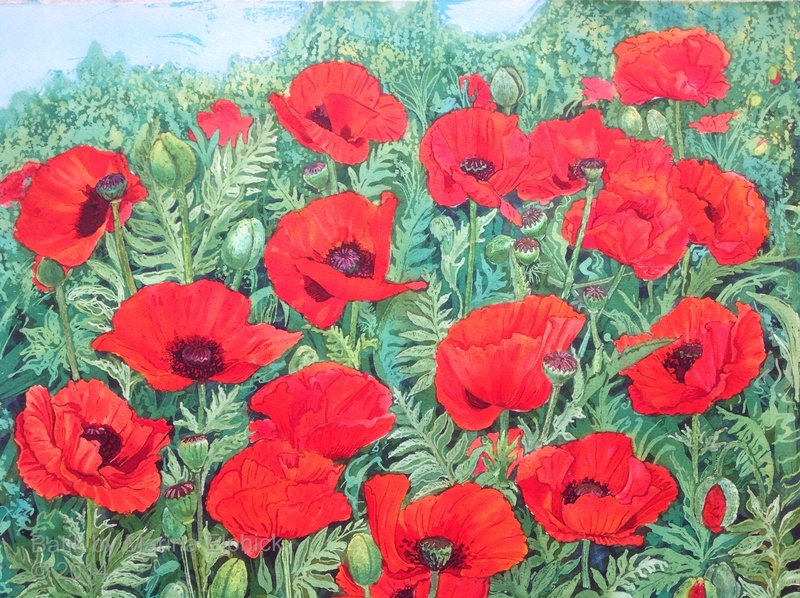 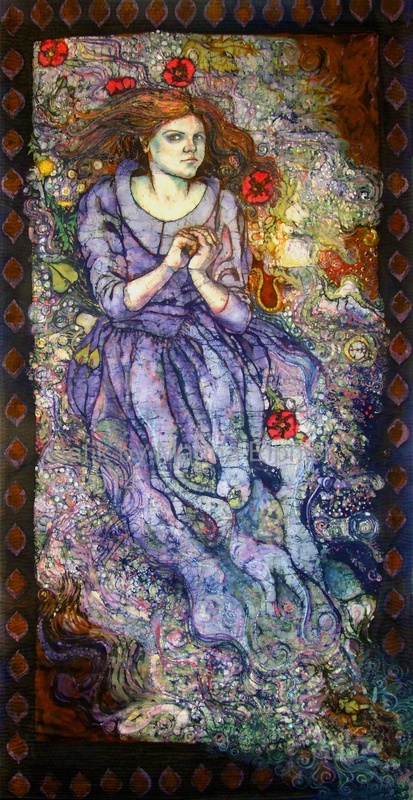 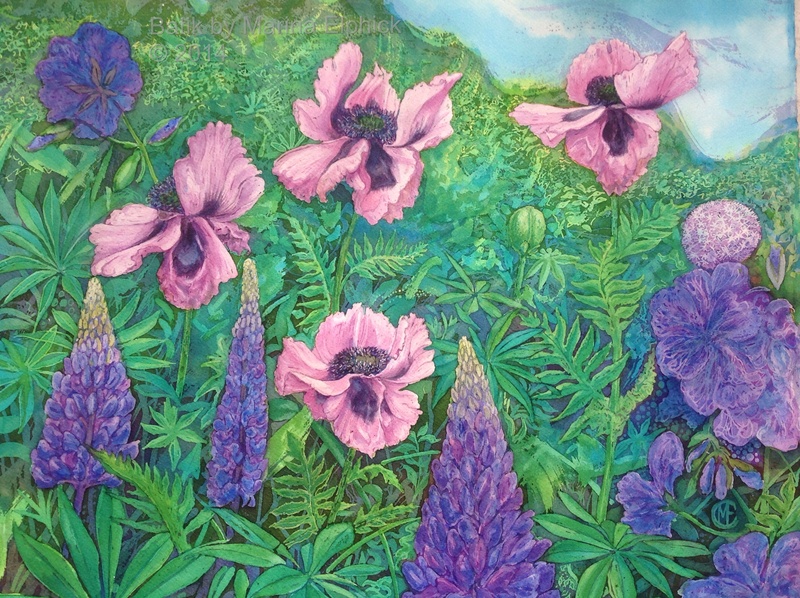 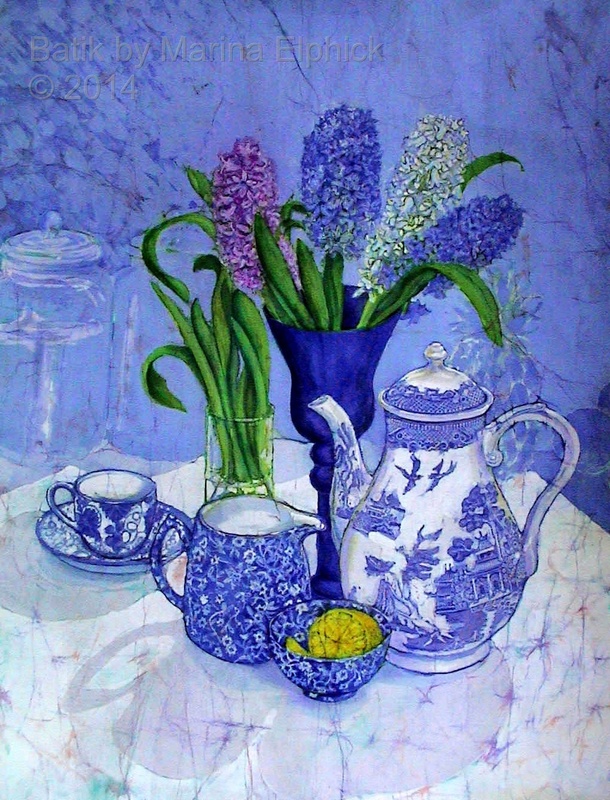 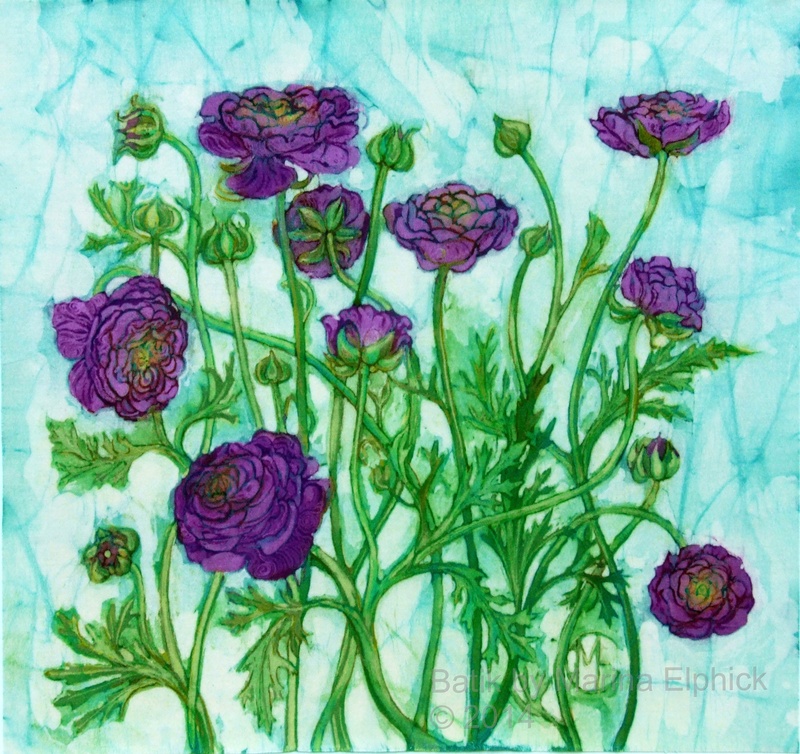 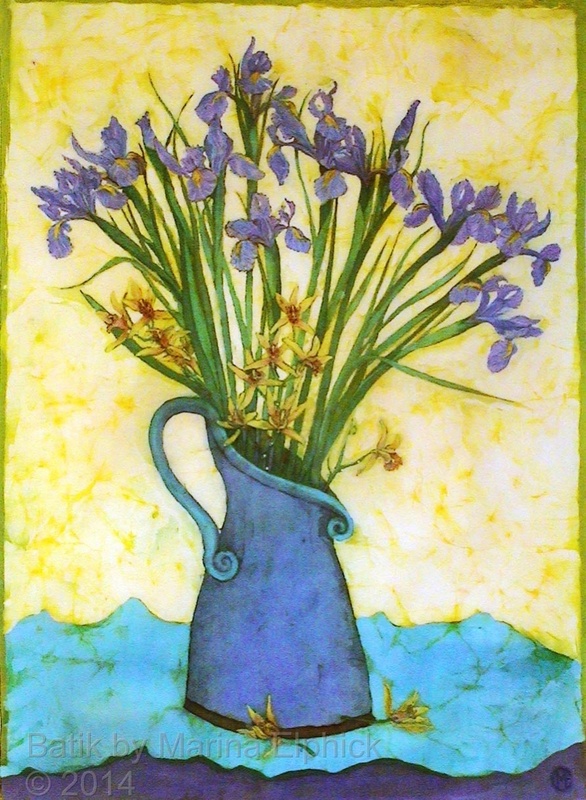 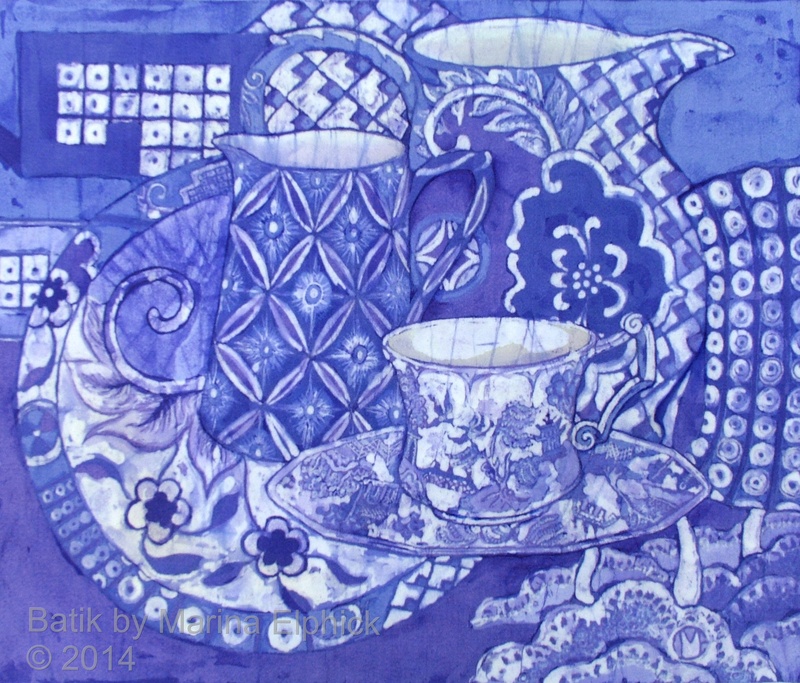 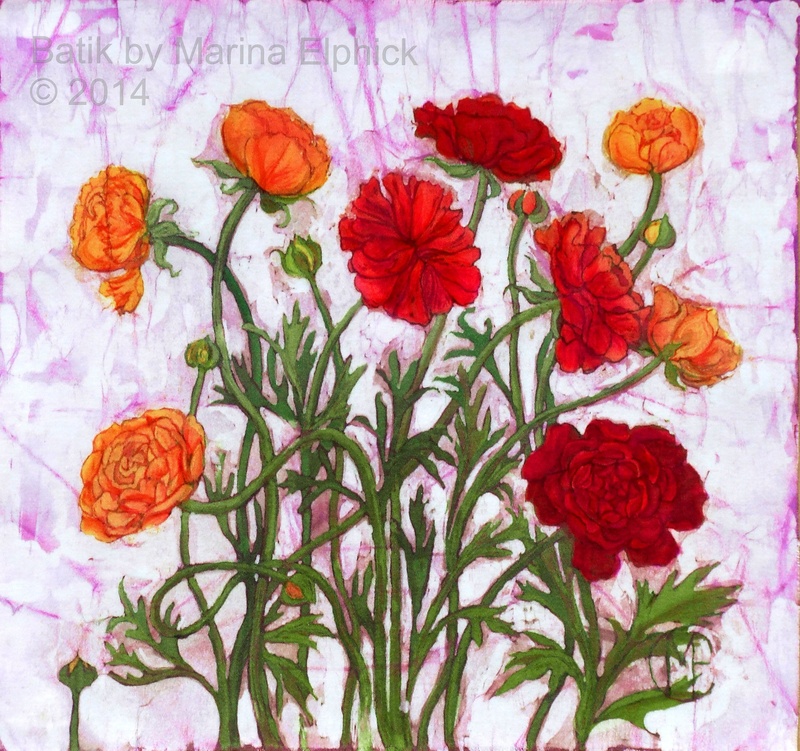 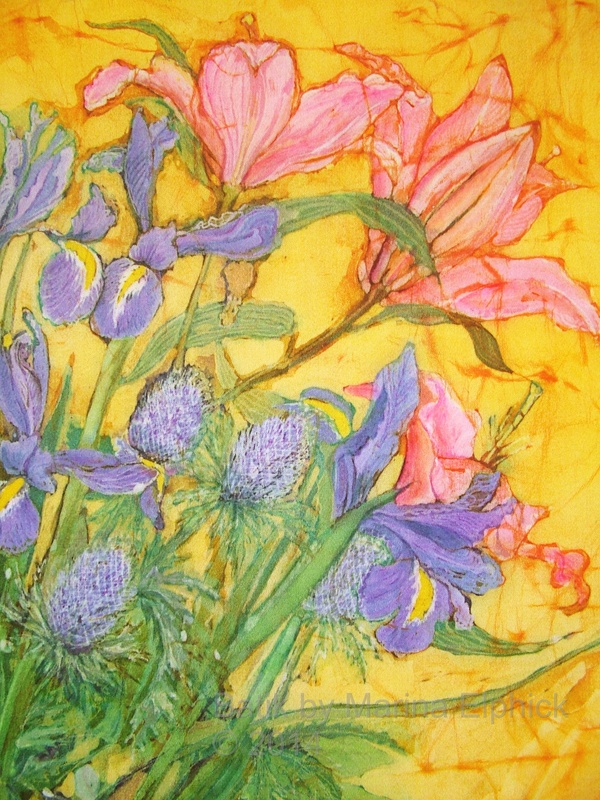 Purple Ranunculus, batik on cotton by Marina Elphick. 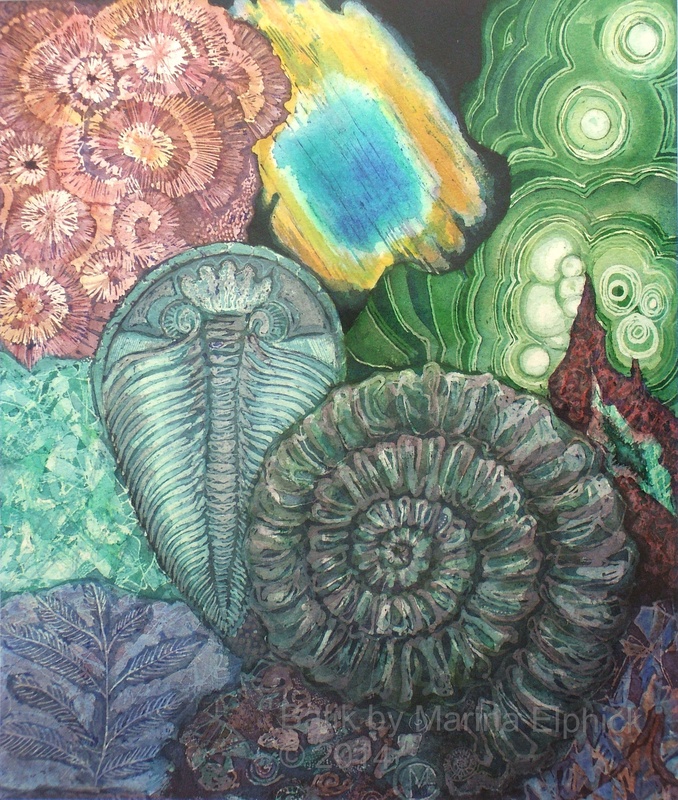 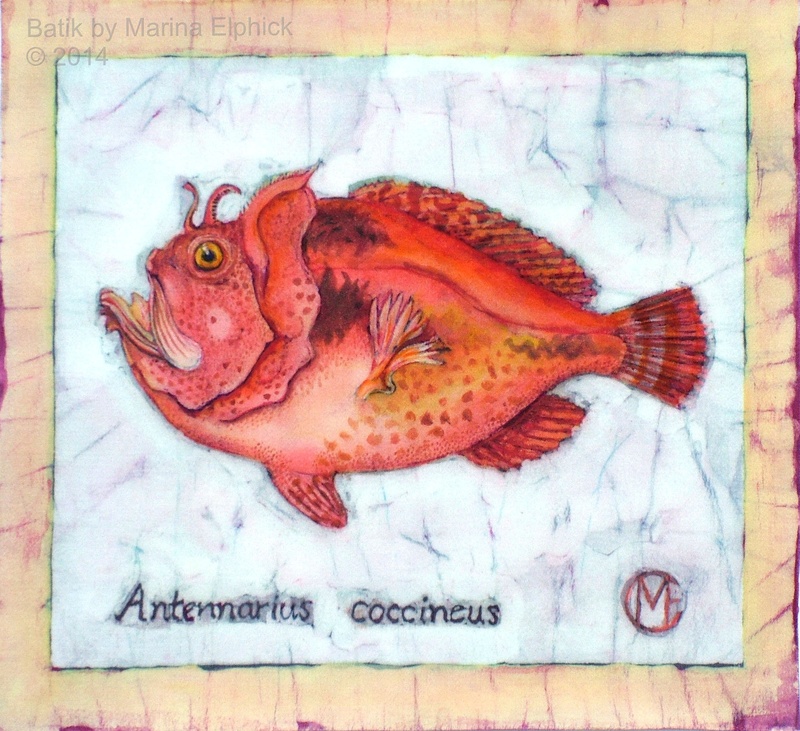 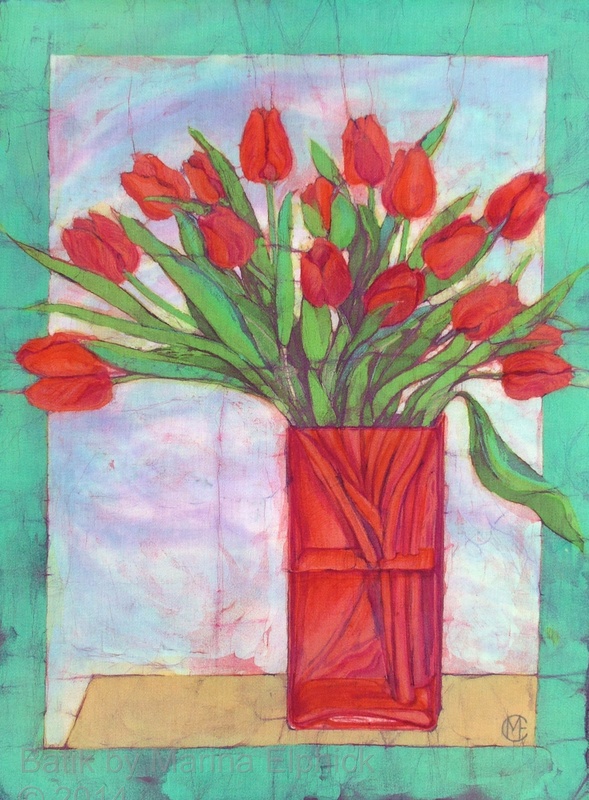 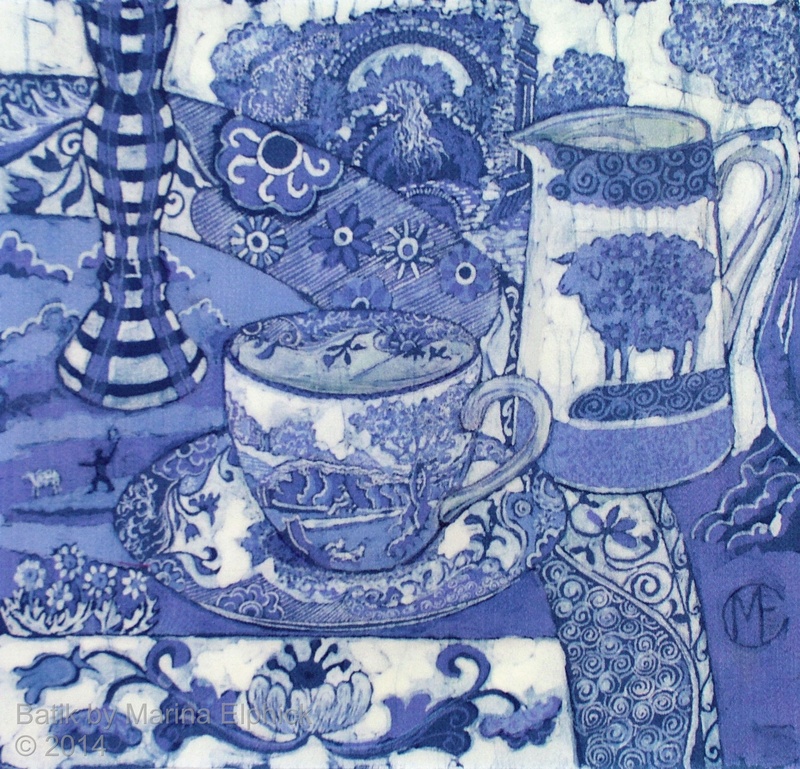 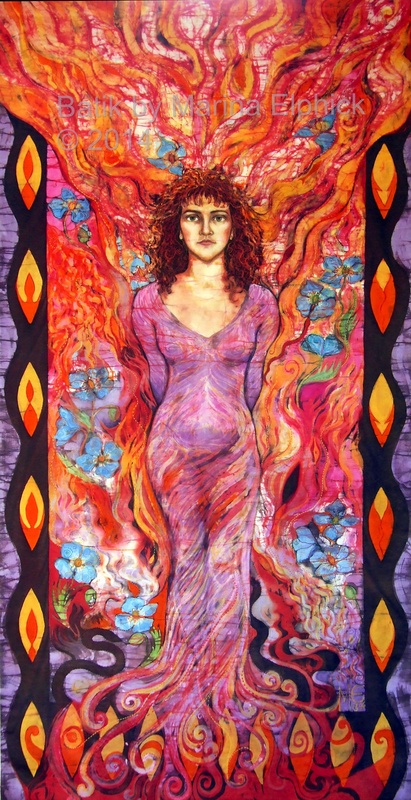 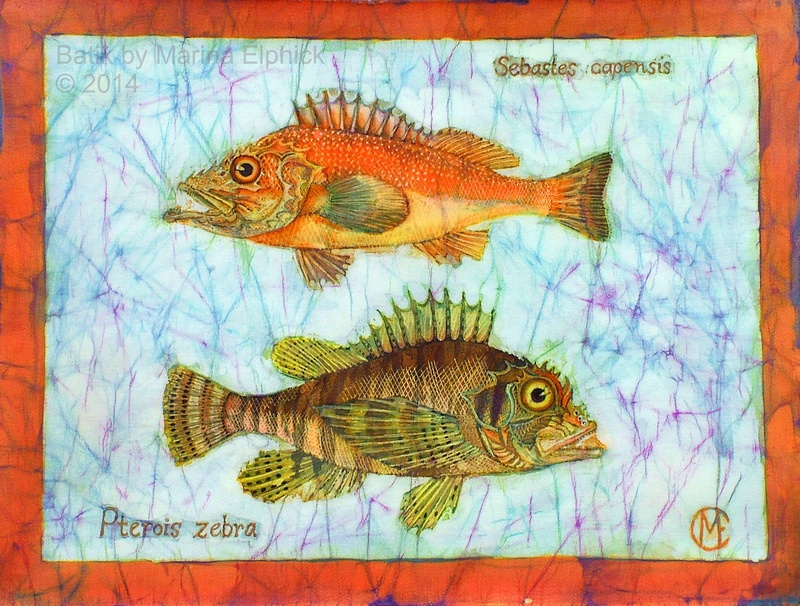 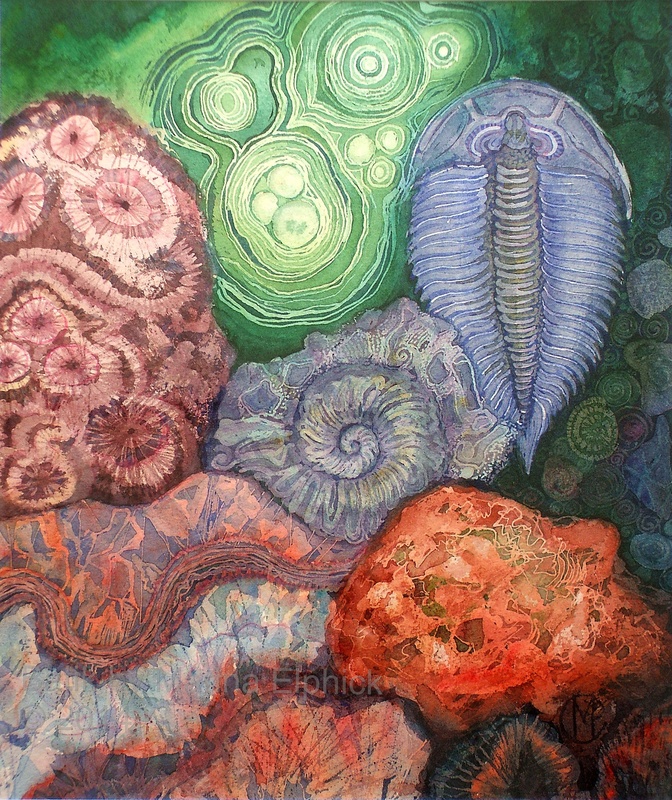 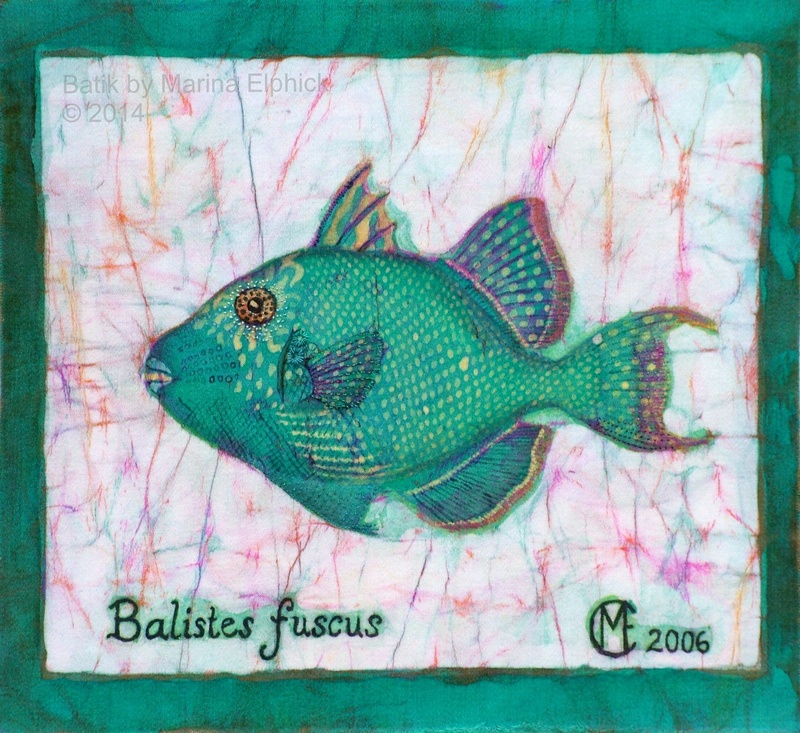 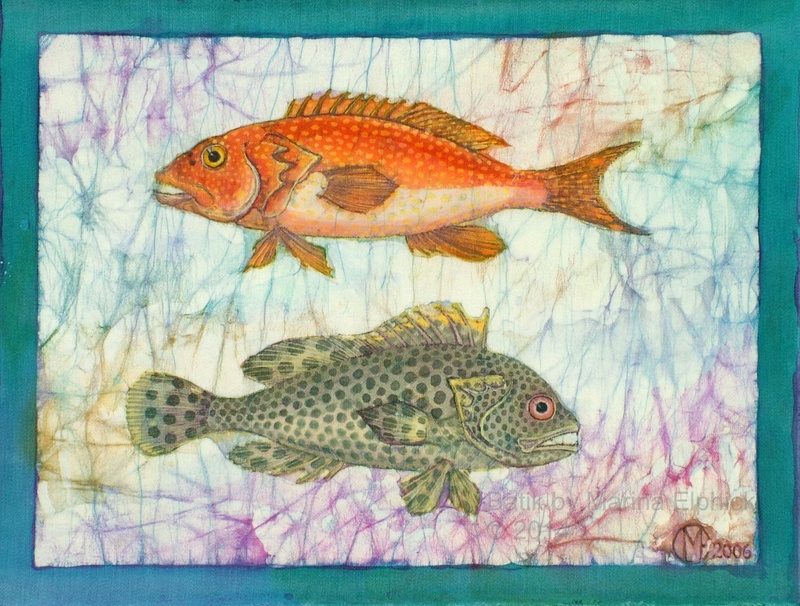 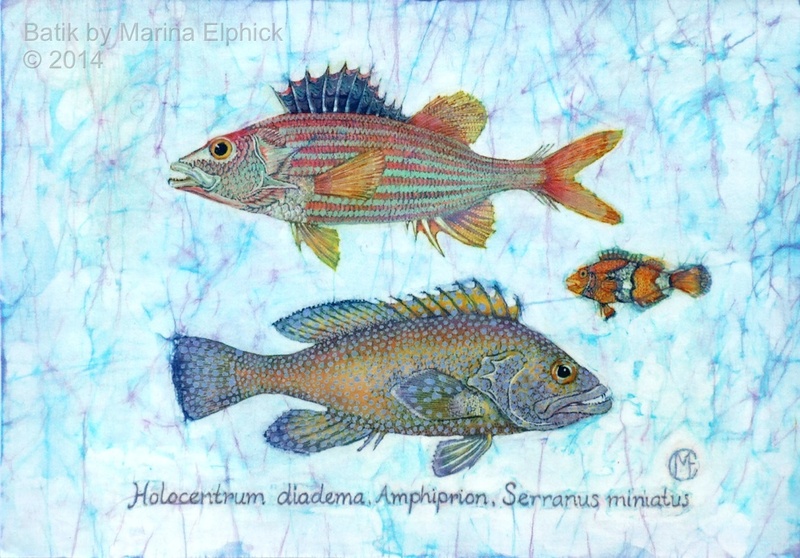 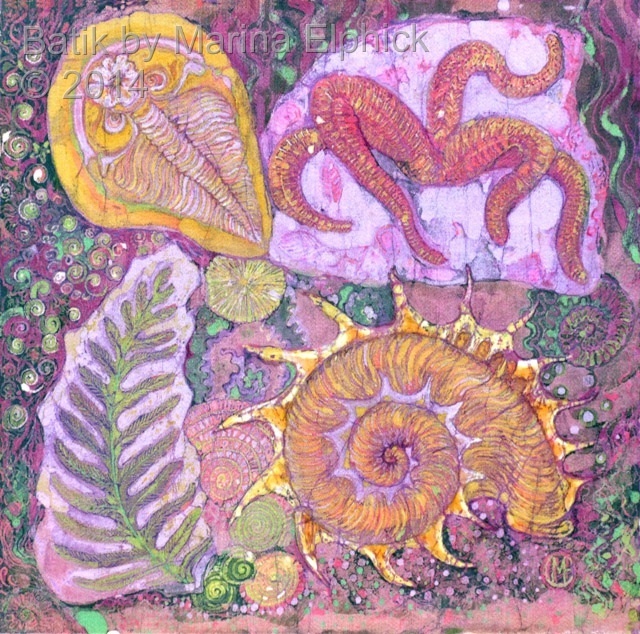 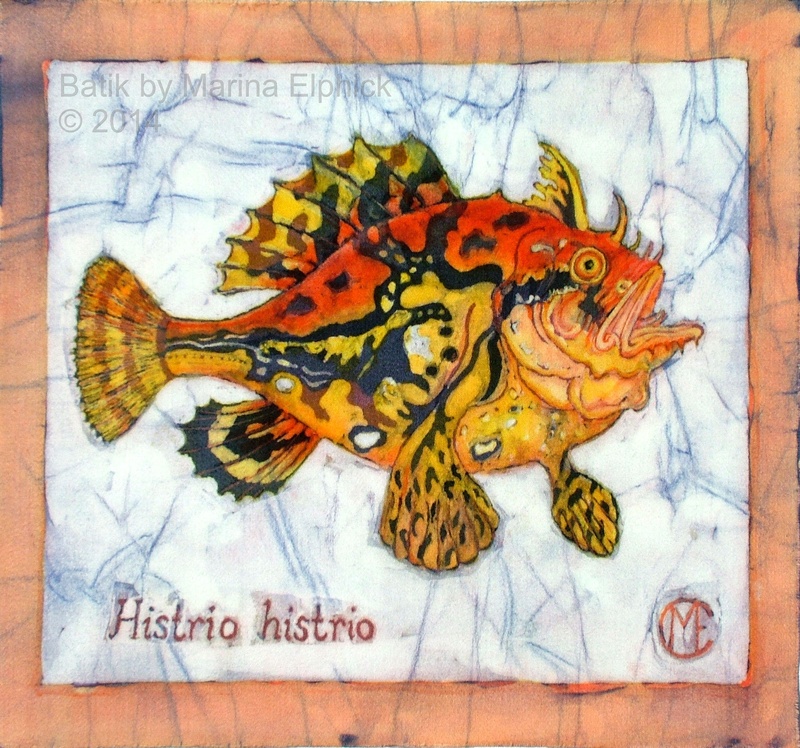 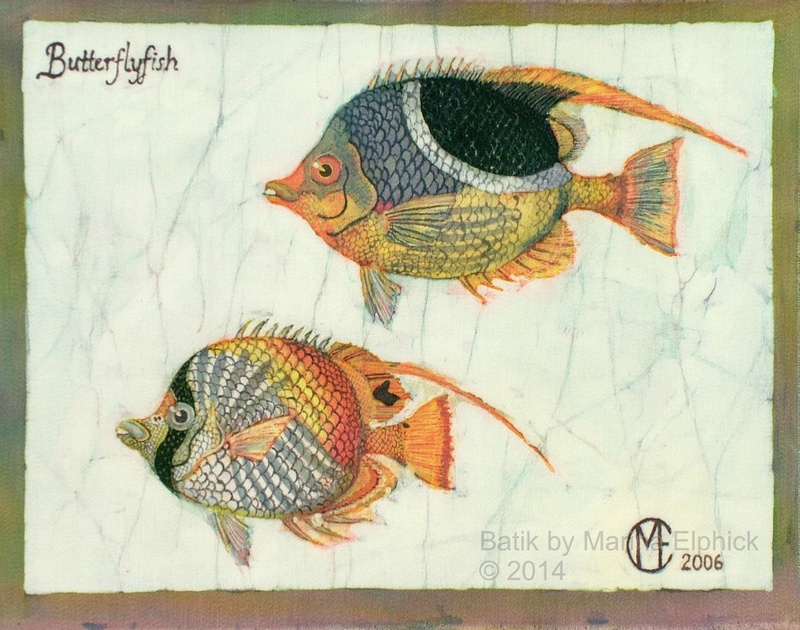 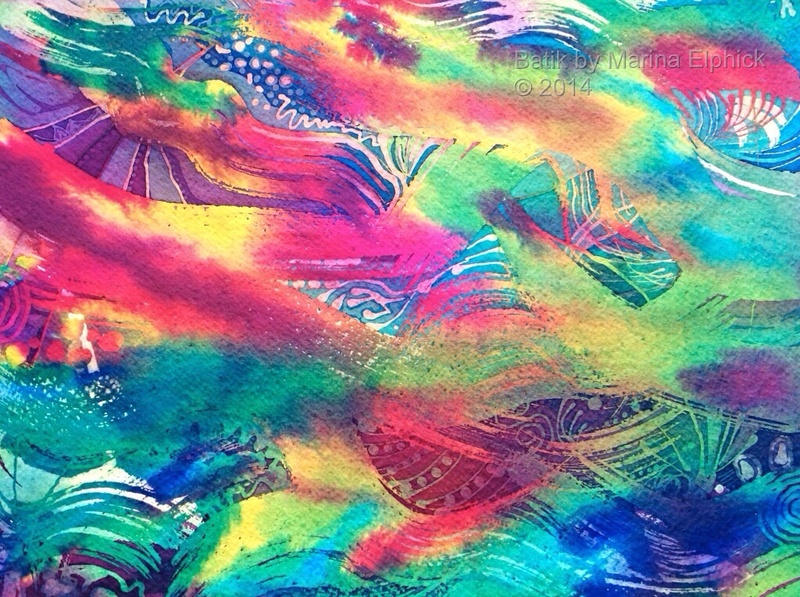 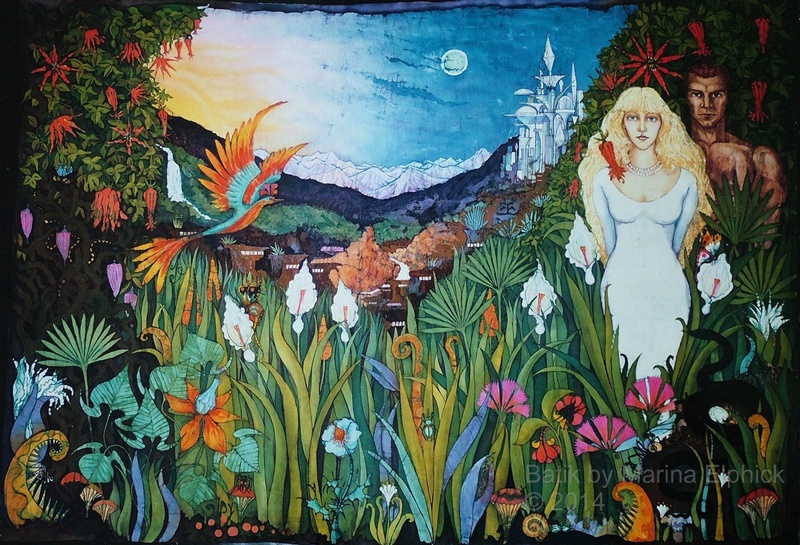 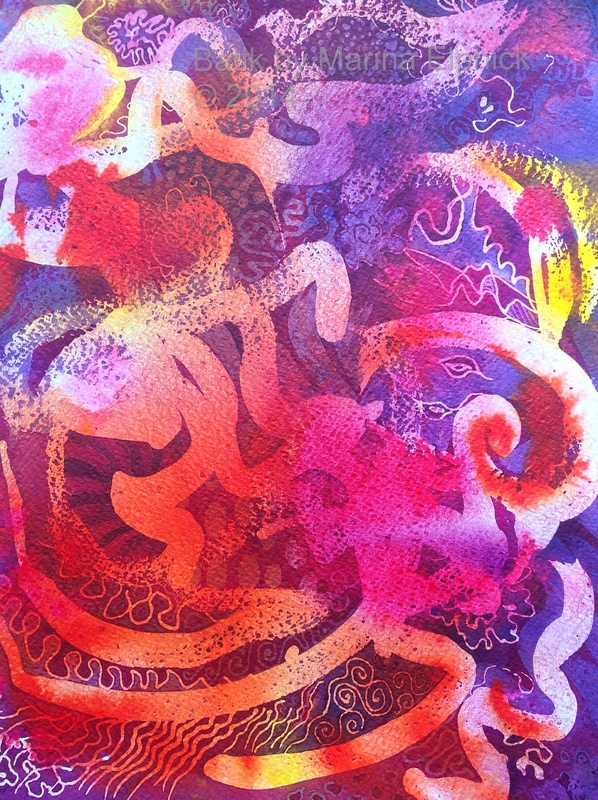 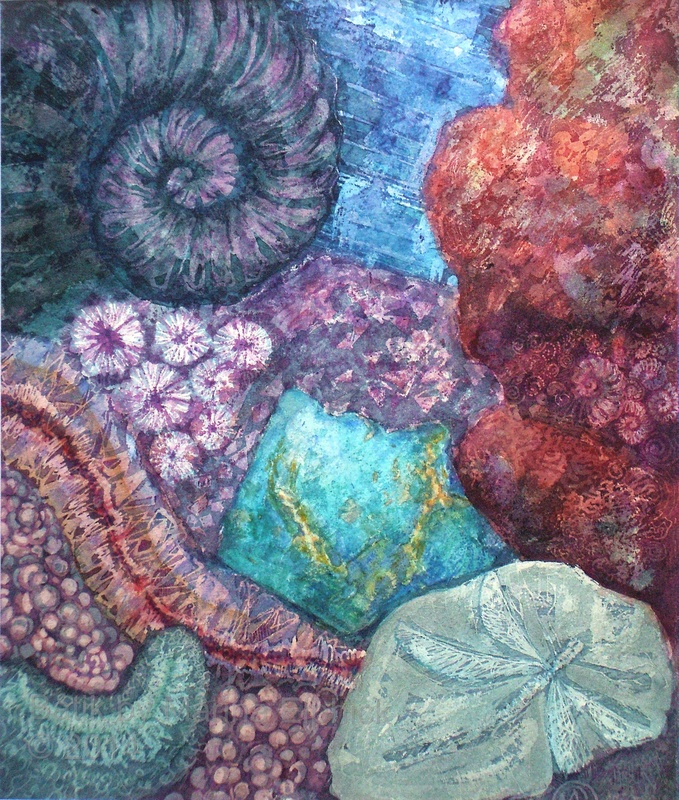 This gallery represents a selection of batik art work carried out over the last thirty years by Marina. 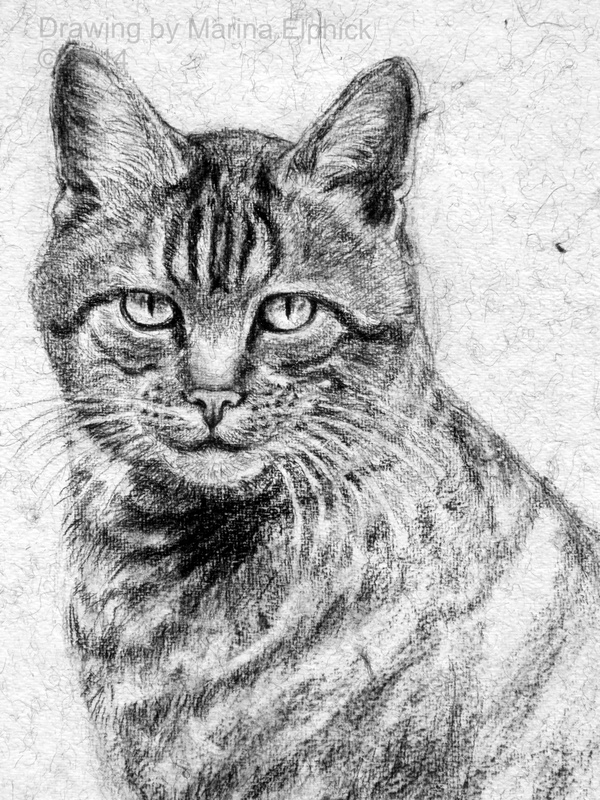 Commissions are welcome if I am not too busy !